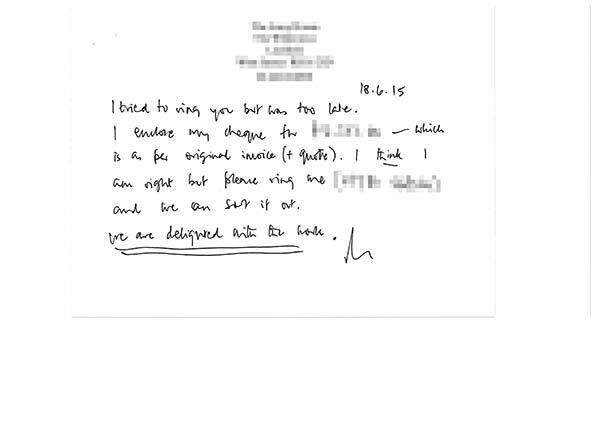 I refer to our previous discussions and would advise that our extension is now complete. We are very pleased with the result, so please pass on our thanks to Nigel and gang. 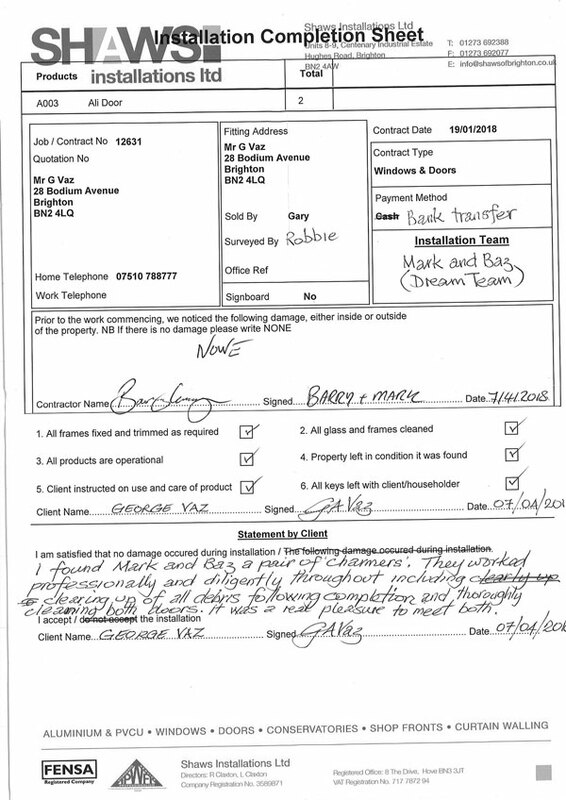 Last week Chris and Lewis installed two double-glazed windows at our address in Brighton. 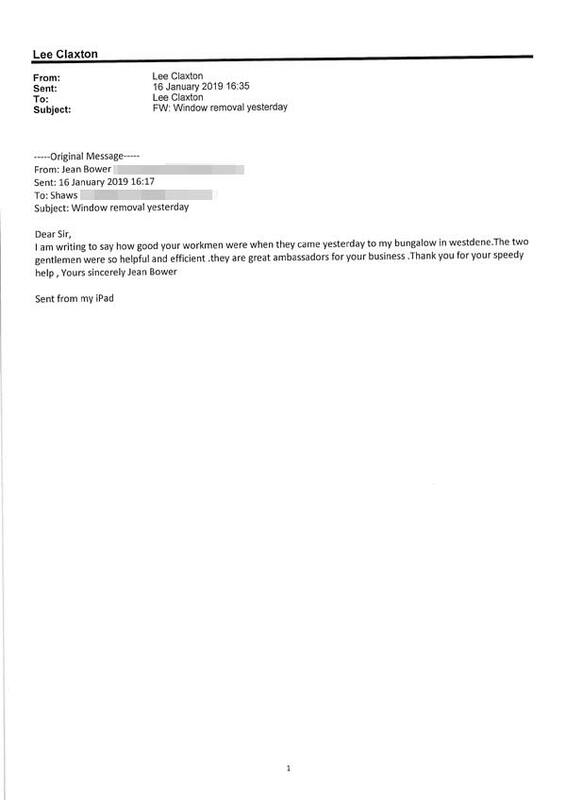 We just wanted to let you know how much we appreciated their professionalism. They were helpful informative, efficient and tidy. 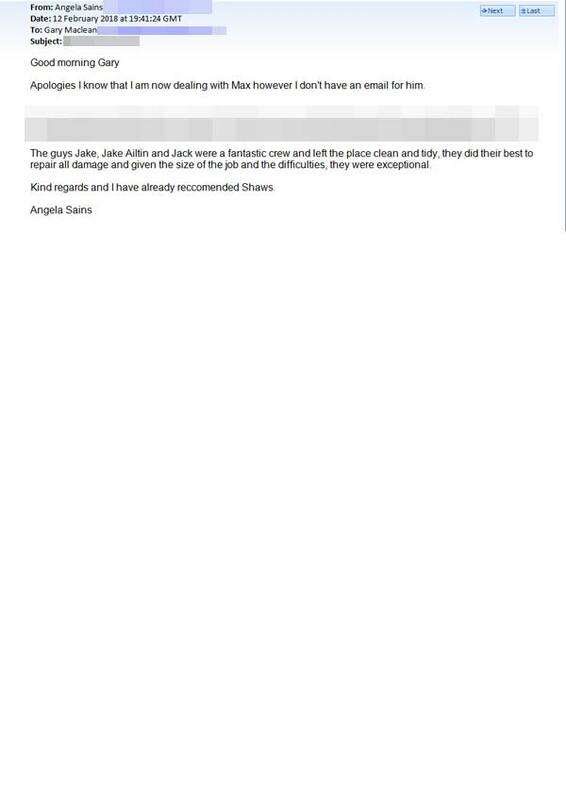 In light of our experience we would definitely recommend Shaws to friends, and we have written a very positive review for Checkatrade. 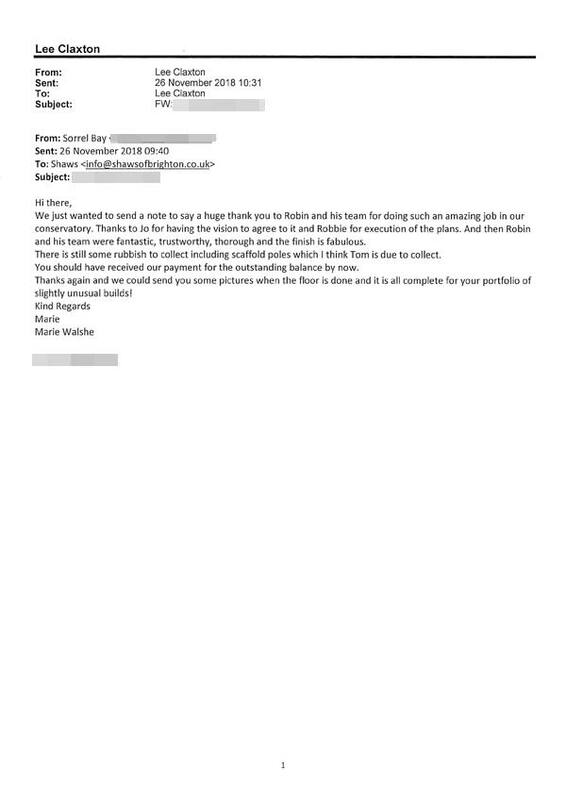 Robin and his mates were very experienced and have done an excellent job that I am very pleased with. As you may be aware we did have water inside the window the next day after it rained in the frame. Robin came back having checked with your team and apparently a cover had been missed out of the order which he then fitted. I am hoping that no other leaks will manifest themselves. The windows do look the part, so hopefully all is now well. 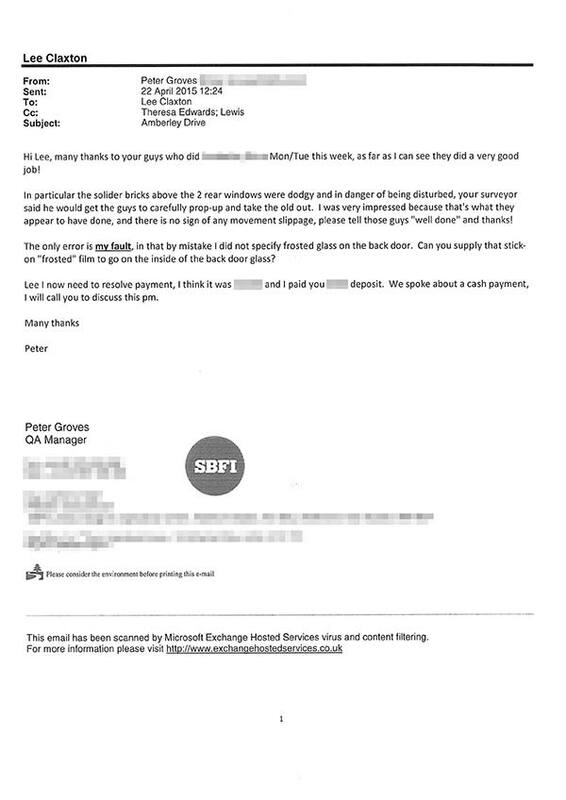 Just to let you know I have now paid the outstanding balance by BACS for my window which was fitted yesterday. 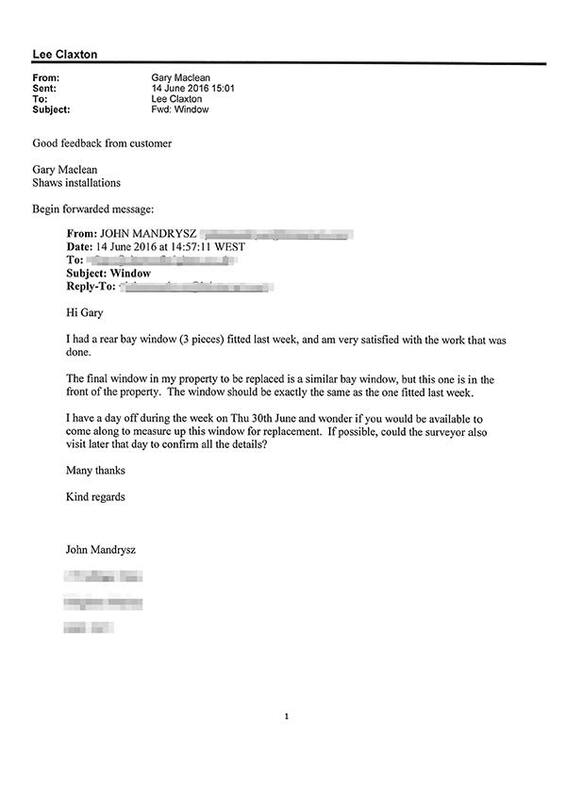 I am very pleased with the window and the efficient manner in which it was fitted. Thanks to all involved. 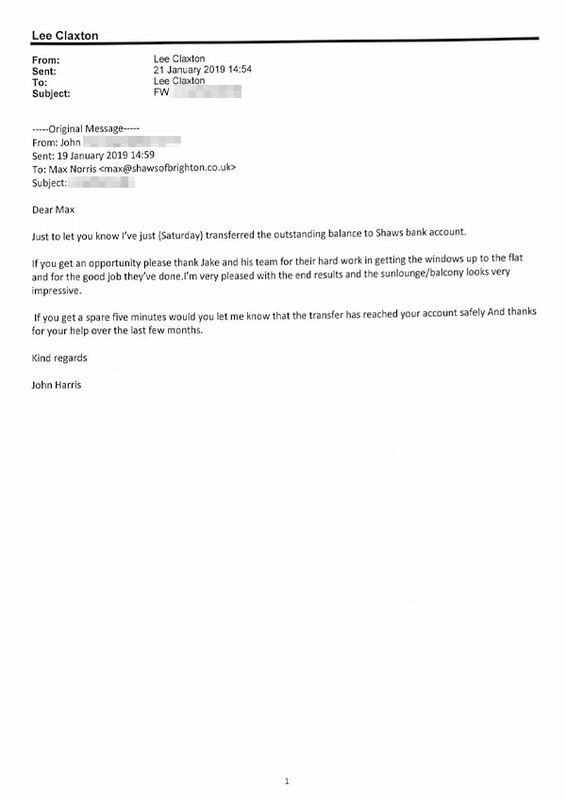 Just to let you know I’ve just (Saturday) transferred the outstanding balance to Shaws bank account. 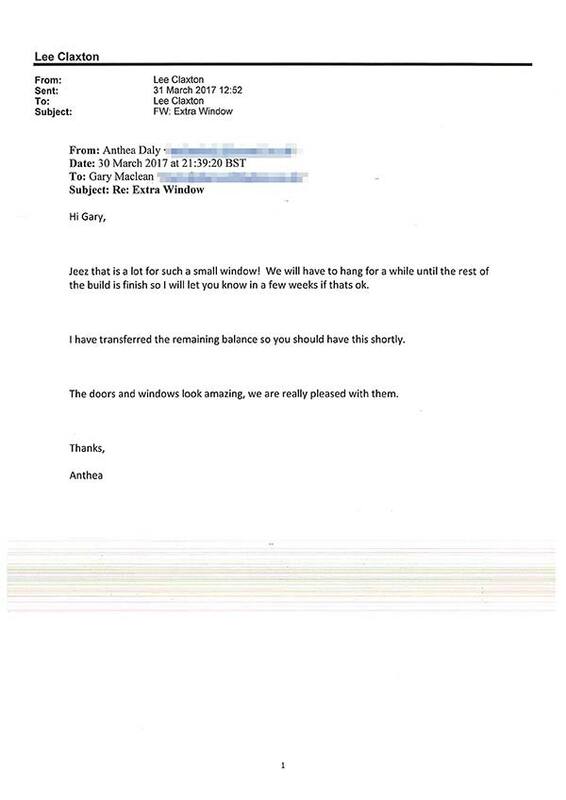 If you get an opportunity please thank Jake and his team for their hard work in getting the windows up to the flat and for the good job they’ve done. I’m very pleased with the end results and the sunlounge/balcony looks very impressive. If you get a spare five minutes would you let me know that the transfer has reached your account safely and thanks for your help over the last few months. 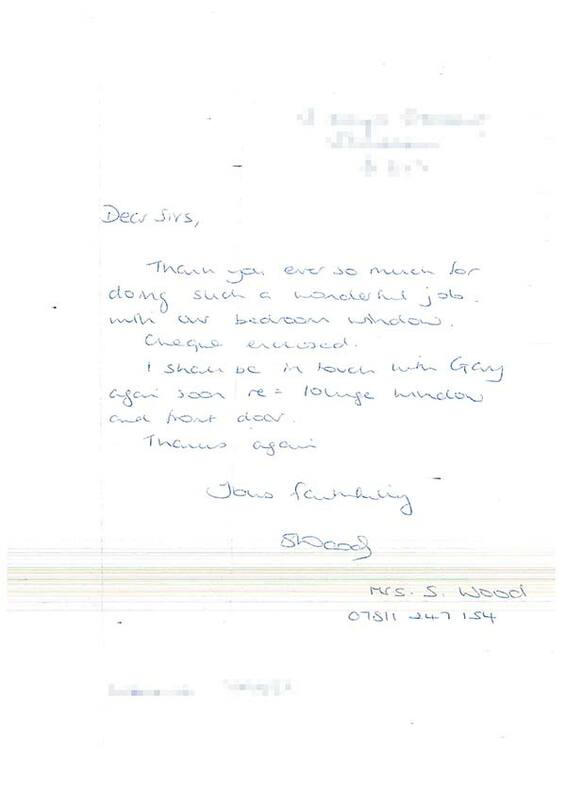 I am writing to say how good your workmen were when they came yesterday to my bungalow in westdene. The two gentlemen were so helpful and efficient. They are great ambassadors for your business. Thank you for your speedy help. We had the windows installed on Monday and they did a fantastic job. I have made the payment. 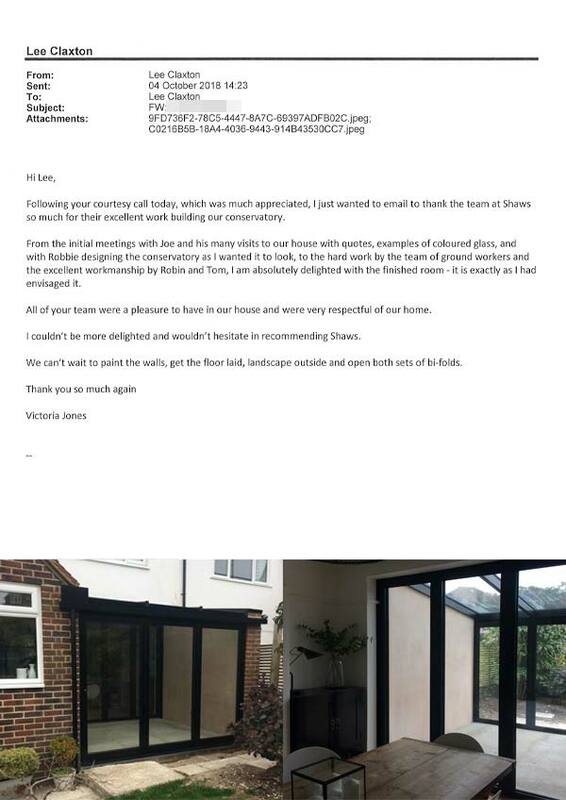 We’ve had the pleasure of having our new sliding doors and lantern from you and wanted to write to let you know. 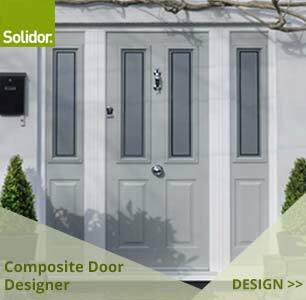 The doors and lantern look great and after some delay to the installation we’d like to acknowledge the hard work and excellent customer service from Robin, Tom and Billy during the works. They managed to put right an awkward situation, which couldn’t have been easy for them to come into. 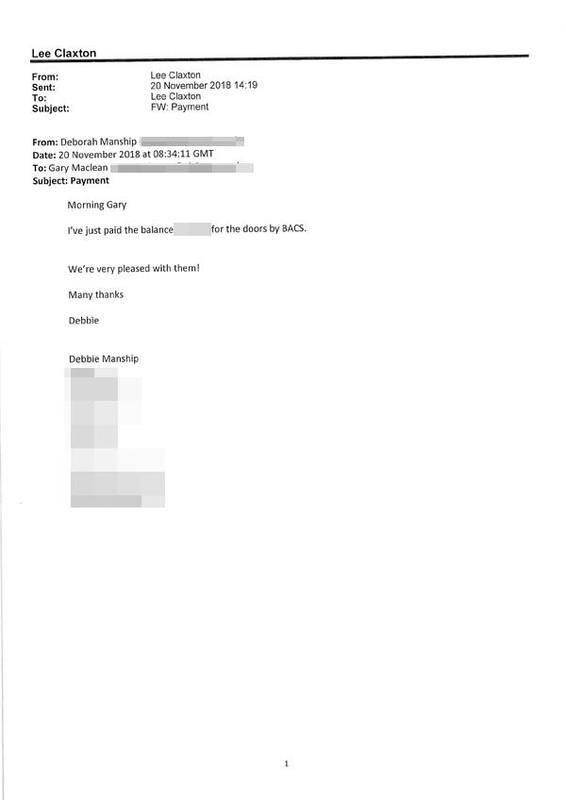 I asked them to give me your details as I wanted to express my gratitude of them to you. Please pass on our personal thanks to them for a great job well done. 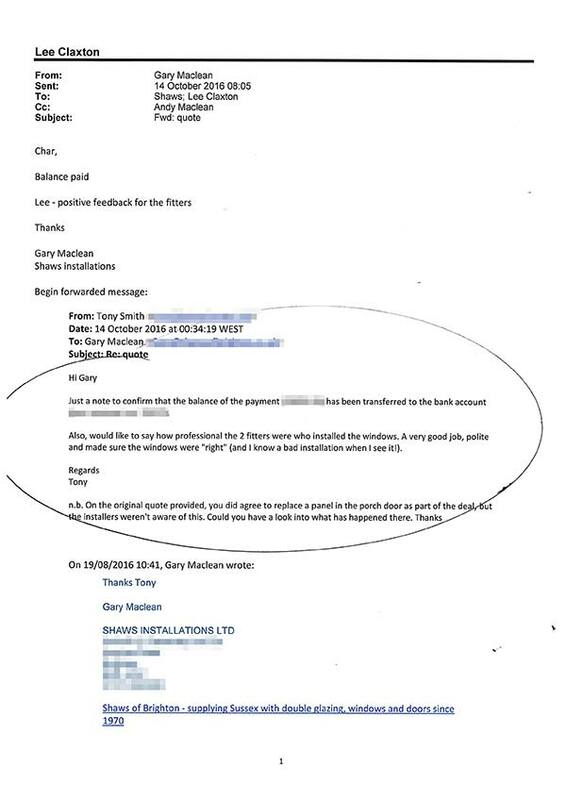 They are a credit to your company and hope they will be recognised for this. Thanks for the fast response on the snagging. 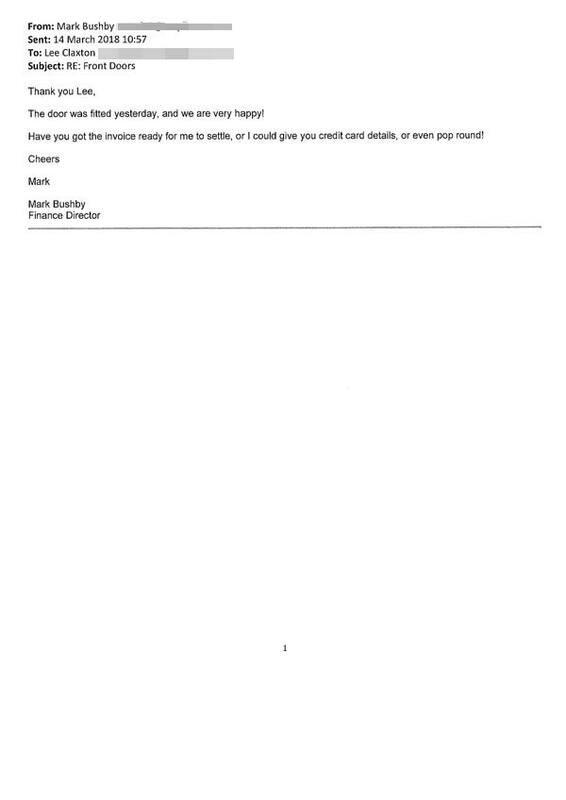 I have just paid the balance into your account as specified on the invoice. You should have it in your account in a couple of hours. Many thanks. 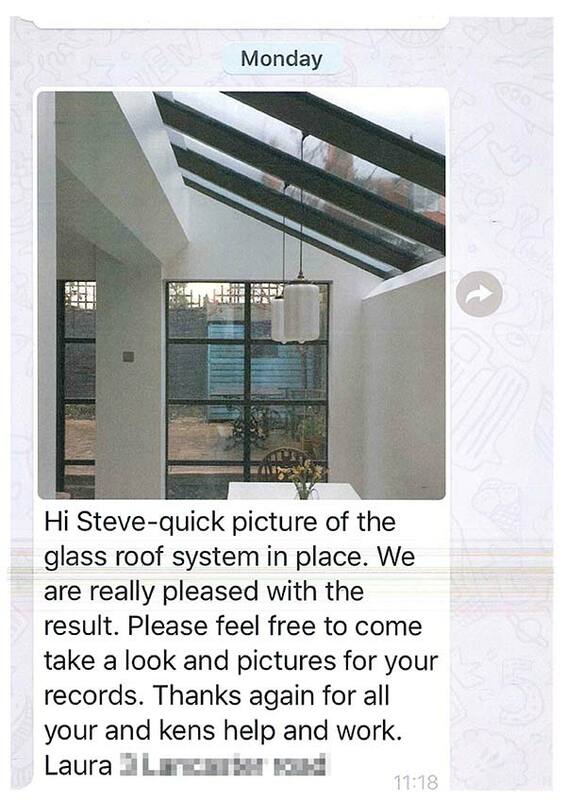 We just wanted to send a note to say a huge thank you to Robin and his team for doing such an amazing job in our conservatory. Thanks to Jo for having the vision to agree to it and Robbie for the execution of the plans. 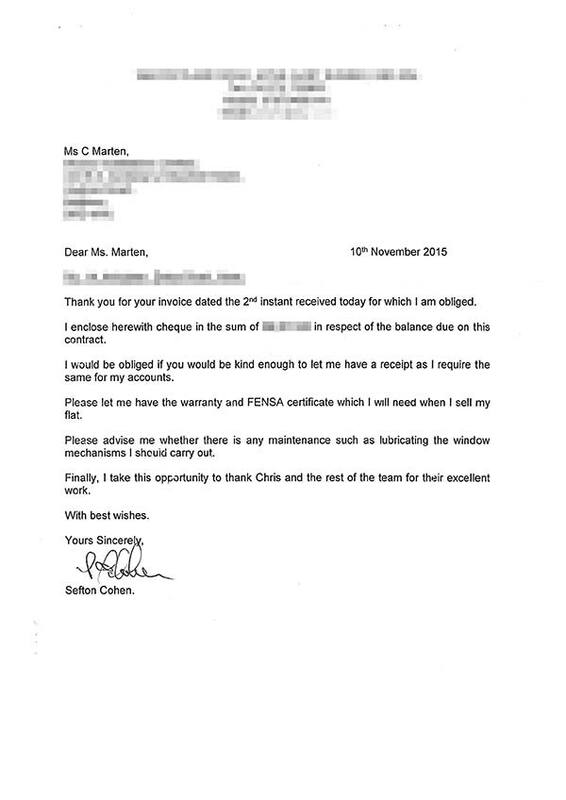 Robin and his team were fantastic, trustworthy, thorough and the finish is fabulous. There is still some rubbish to collect including scaffold poles which I think Tom is due to collect. 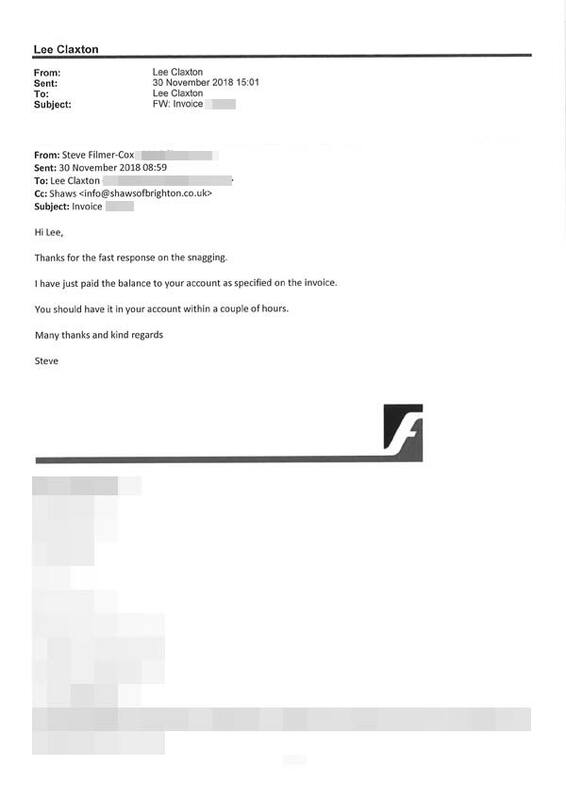 You should have received our payment for the outstanding balance by now. Thanks again and we could send you some pictures when the floor is done and it is all complete for your portfolio of slightly unusual builds! 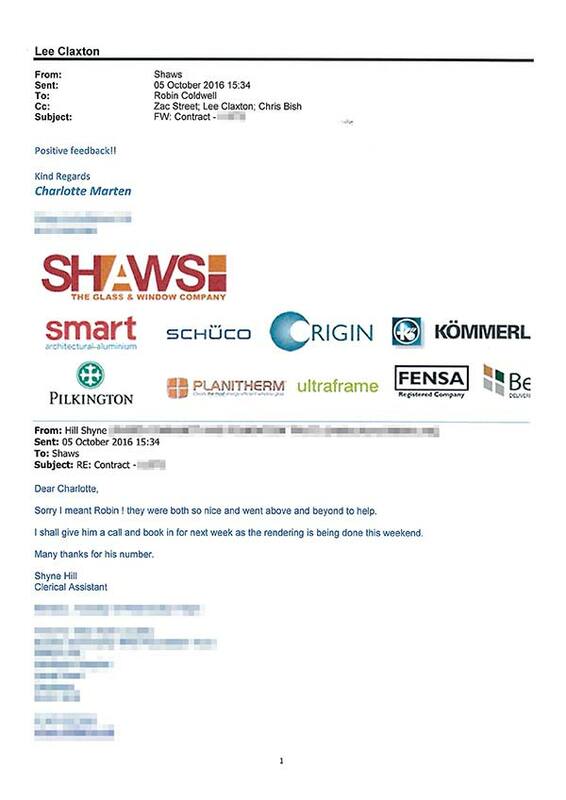 I just wanted to email to thank the team at Shaws so much for their excellent work building our conservatory. From the initial meetings with Joe and his many visits to our house with quotes, examples of coloured glass, and with Robbie designing the conservatory as I wanted it to look, to the hard work by the team of ground workers and the excellent workmanship by Robin and Tom, I am absolutely delighted with the finished room – it is exactly as I had envisaged it. 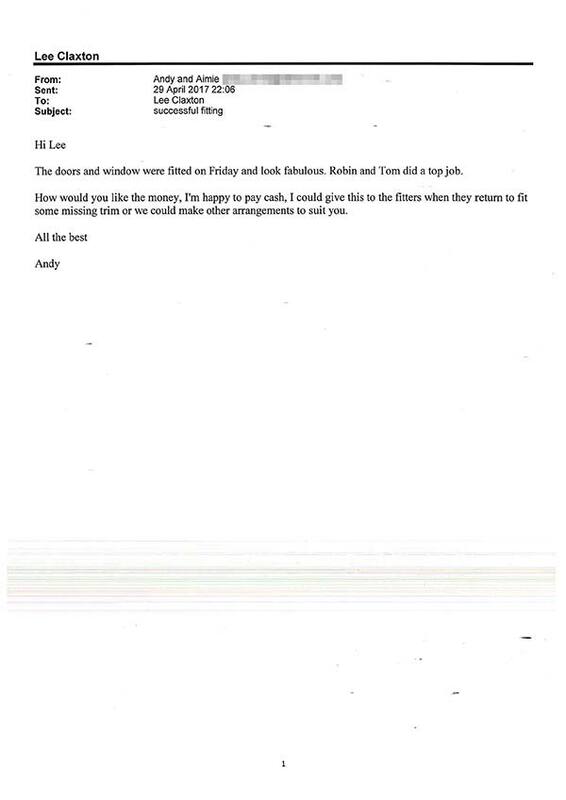 All of your team were a pleasure to have in our house and were very respectful of our home. 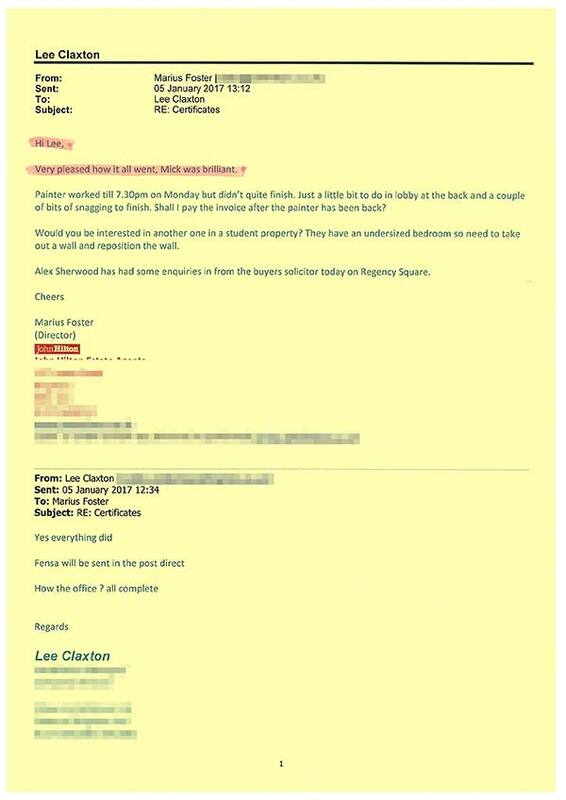 I couldn’t be more delighted and wouldn’t hesitate in recommending Shaws. 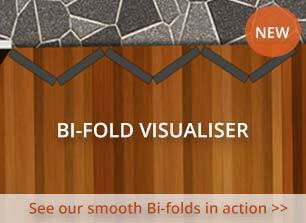 We can’t wait to paint the walls, get the floor laid, landscape outside and open both sets of bi-folds. Thank you so much again. I’m pleased with the doors and I want to say what a credit to the firm your fitters are. They were excellent. 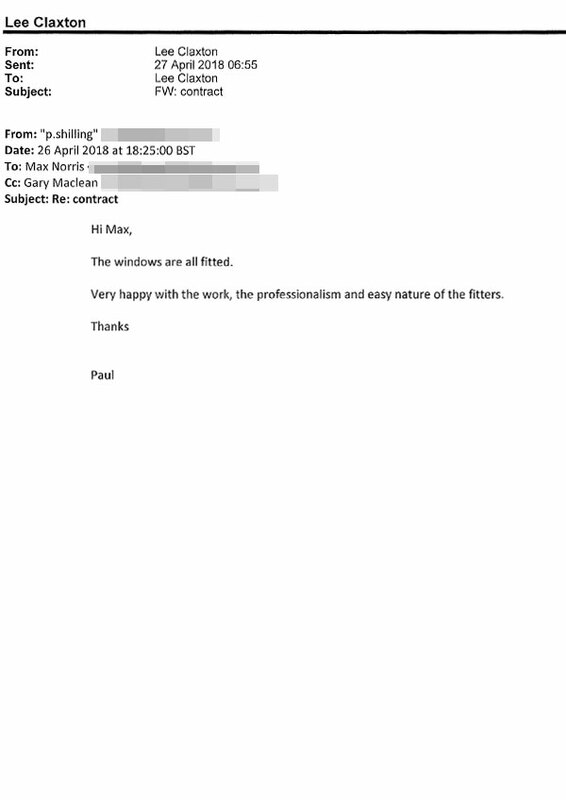 Thank you – we are very happy with the windows and doors. 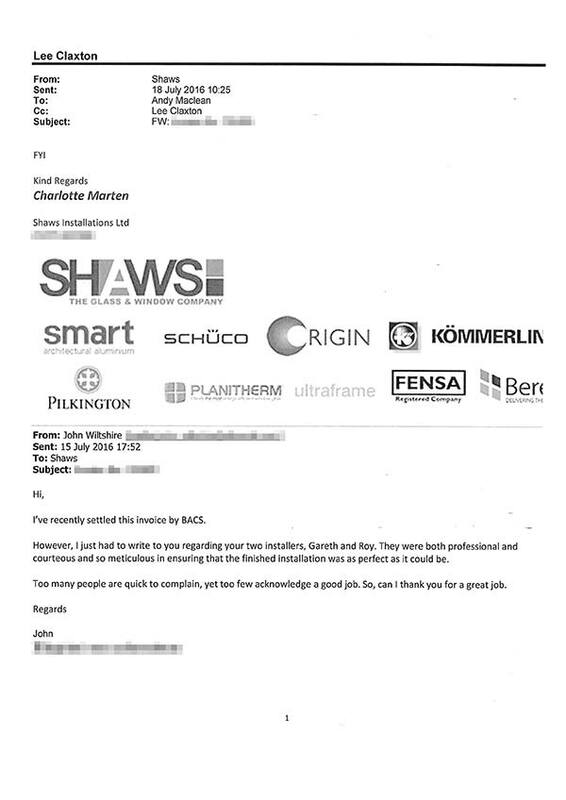 We also found your colleagues were very helpful and professional – please thank them for us. 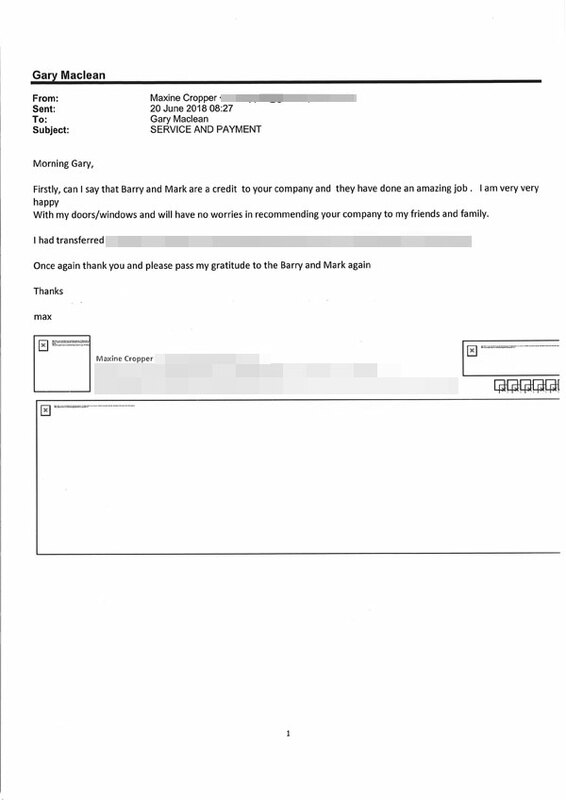 Barry and Mark are a credit to your company and have done a fantastic job. 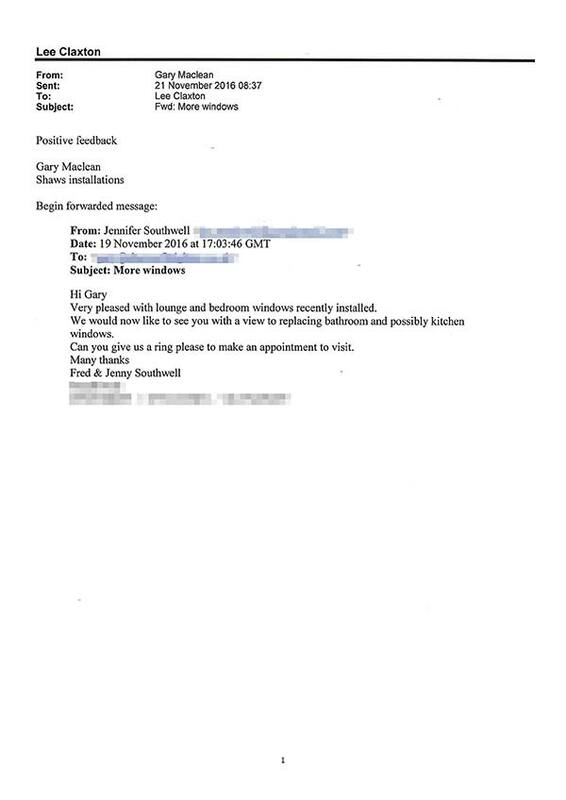 I am very very happy with my windows/doors and will have no worries in recommending your company to my friends and family. The windows have been installed and look fantastic! 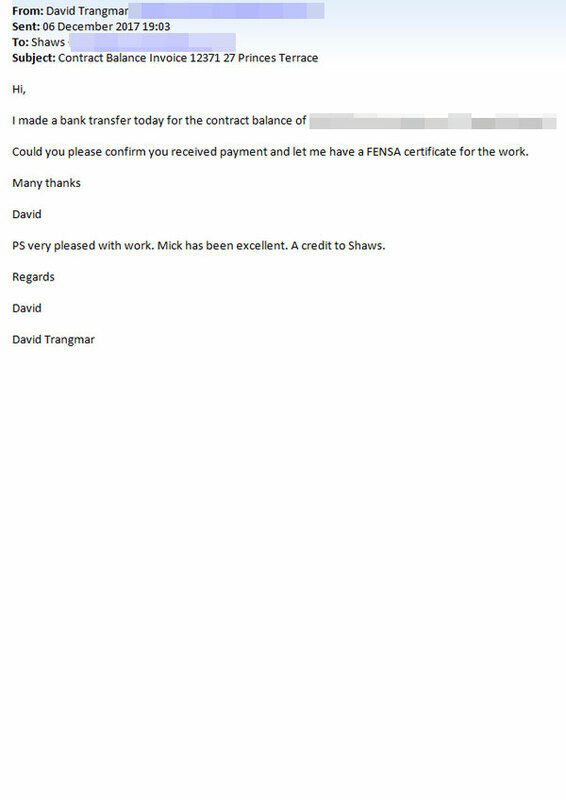 The client is really pleased. Amazing job – very neat and tidy. Excellent job done, thank you. The door has been fitted and I am extremely pleased with it. The workmanship is superb. Thank you. 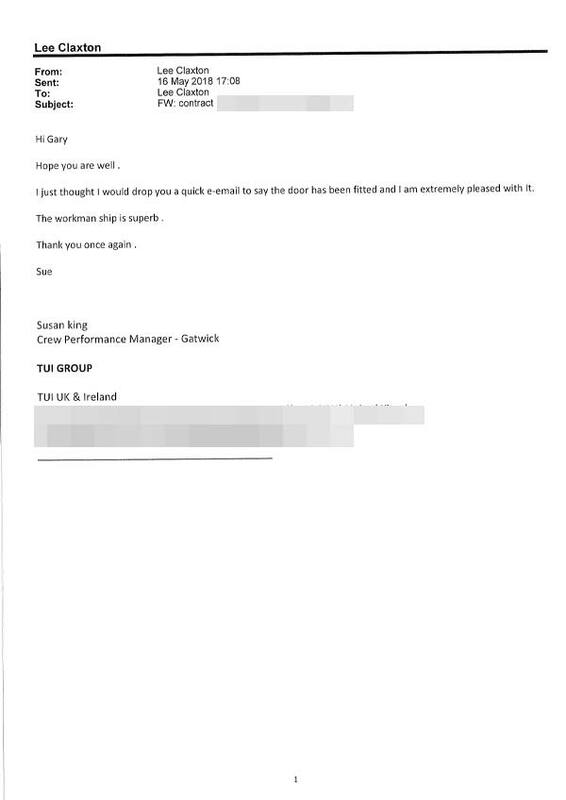 Chris and Lewis were excellent and a pleasure to have working. Very happy with the work, the professionalism and easy nature of the fitters. I wanted to thank you for all your help, the windows look perfect, just what I had imagined. 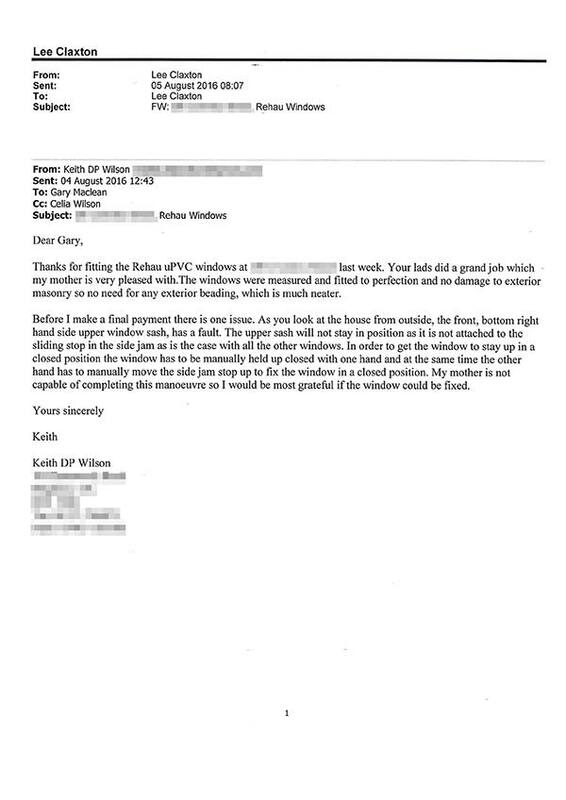 Also the 2 men who fitted the window were very professional and did a very good job. 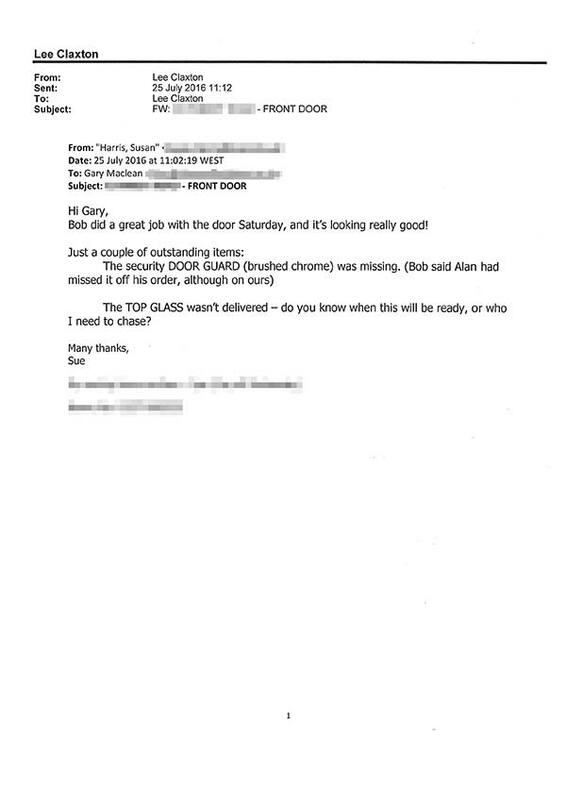 I found Mark and Baz a pair of charmers: They worked professionally and diligently throughout, including cleaning up all debris following completion and thoroughly cleaning both doors. It was a pleasure to meet them both. Thank you. The door was fitted yesterday, we are very happy! 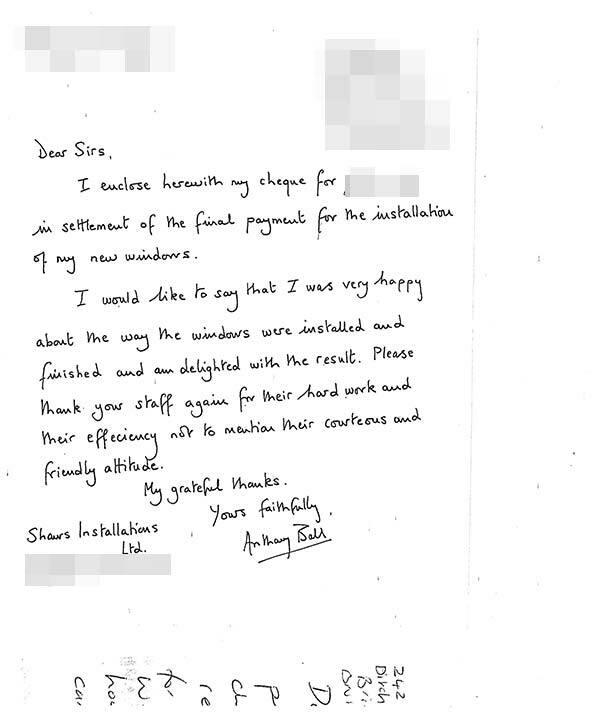 Thank you for fitting our windows – Jaik did a great job and was incredibly clean and tidy every day. 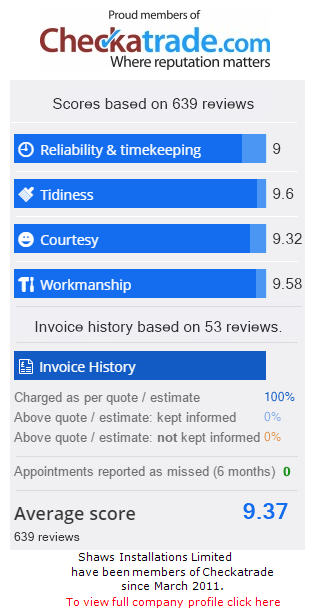 The team who fitted my doors and windows went above and beyond, were clean and tidy and assisted me in putting my curtain rail up – I’m very grateful. Very pleased with the work. Mick has been excellent. A credit to Shaws. The guys Jake, Jake Ailtin and Jack were a fantastic crew and left the place clean and tidy, they did their best to repair all damage and given the size of the job and the difficulties, they were exceptional. Kind regards and I have already recommended Shaws. Thank you so much for our new double glazed windows which I am so pleased with. Your two fitters Chris and Lewis are very good at their job, they always put dust sheets down and vacuumed up after themselves and were such nice guys. Will you please pass on my regards – having people in your home is never easy but these two were no problem at all. I would like to thank Jake and Elton that did our fitting, they were professional and courteous at all times and did a fantastic job. Please pass on my many thanks to them. The fitters done a stunning job, really pleased with the work. The work you done looks really smart, I’ve heard some very good compliments about the install as well as the guys on the site too, so well done. 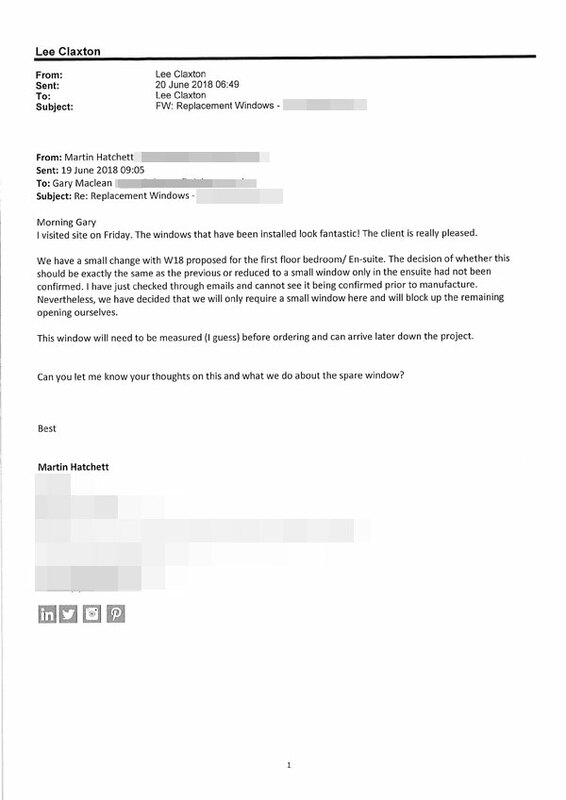 I would also like to thank you and the team that were working on the curtain walling for completing all work and associated tasks to Joan’s satisfaction, your co-operation was very much appreciated. May I thank the workers from Shaws who did complete all tasks as required today. Thank you for being supportive and ensuring that school can start tomorrow. I am very grateful. I am very pleased with the end result! 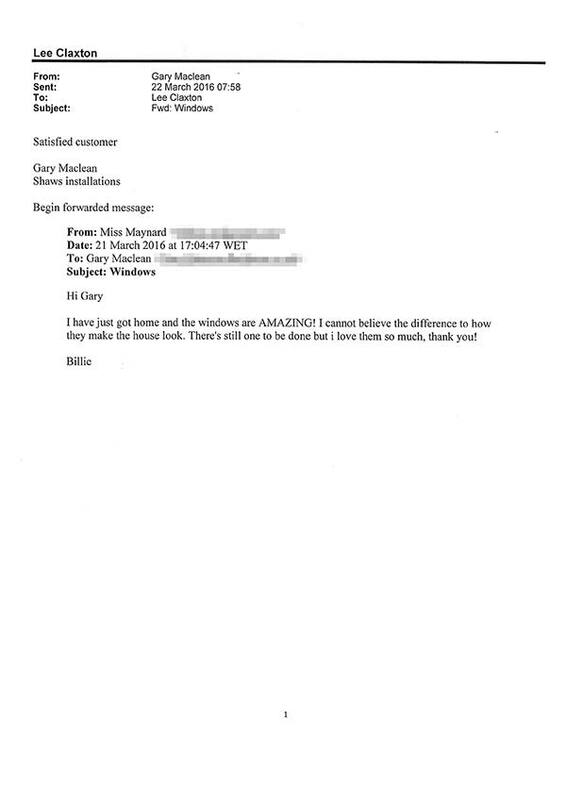 Thank you for fitting these quality windows so well and to your polite and professional team! I will recommend you. 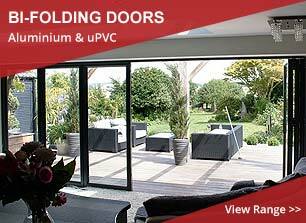 Thank you very much for all your help recently with our Patio Door. I was lucky that you were the first advertisement I saw in the book and that you have such pleasant staff. We are really pleased with the result. Thanks again for all of your hard work and help. Really pleased with the windows, Jake and Jack have done a great job and the bay is looking really good. 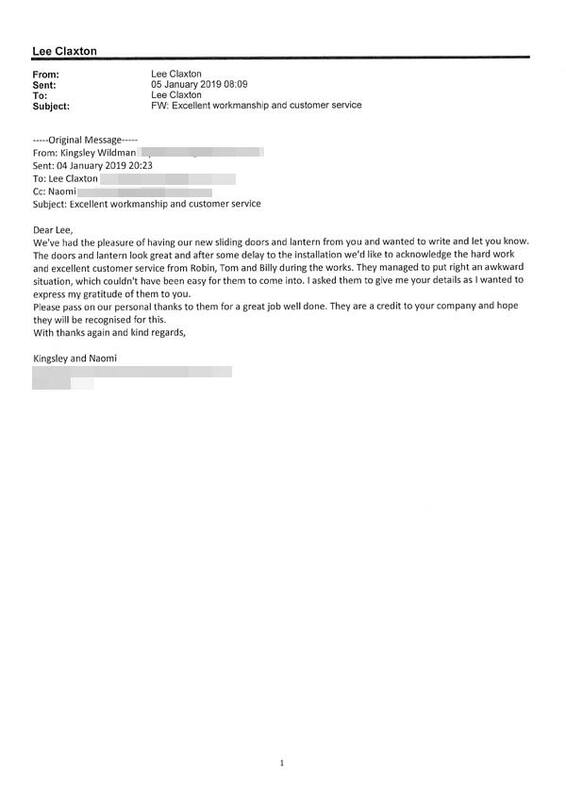 Jake and Jack were brilliant and their customer focus was great. 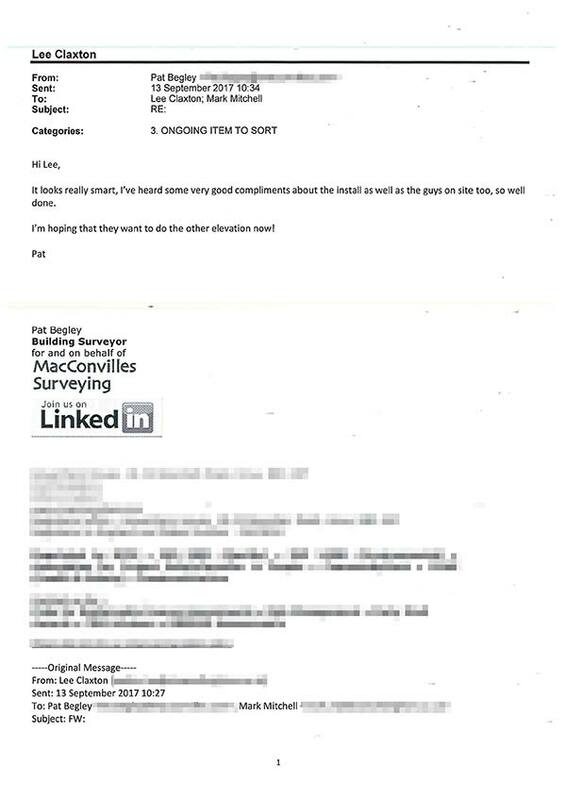 If I am to go ahead for any more work done I will ask for them by name. The doors and window were fitted on Friday and look fabulous. Robin and Tom did a top job. I could not praise Bob & Mick enough. 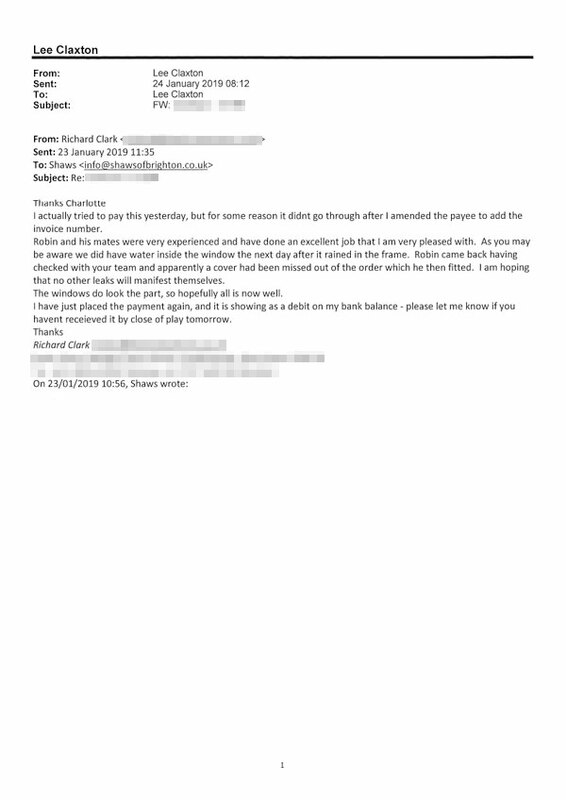 Their standard of work, friendly demeanour and all round professionalism was above and beyond anything I expected. 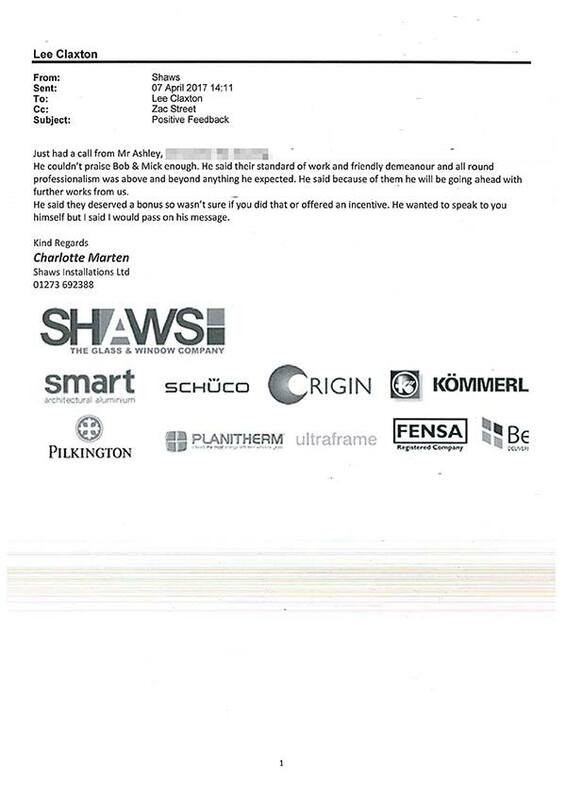 Because of them I will definitely be going ahead with further work from Shaws. 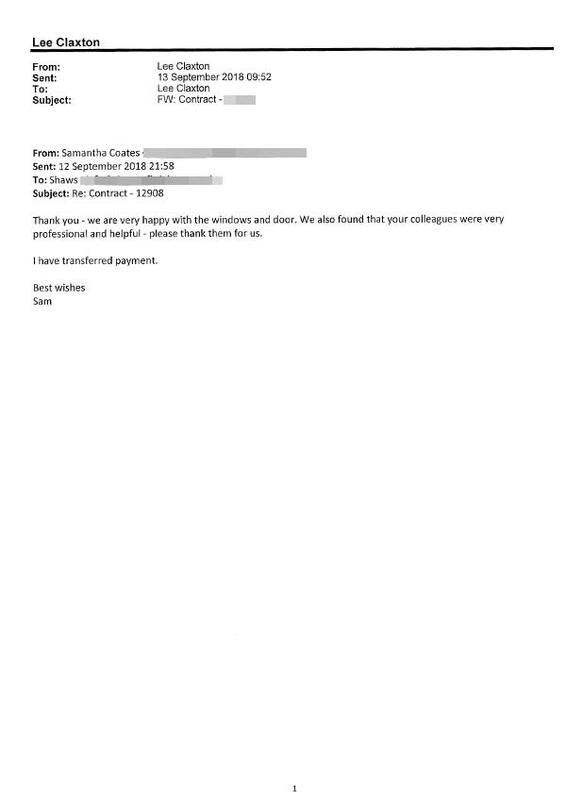 I was very happy with the work that Simon and Sam did and the professionalism they showed. 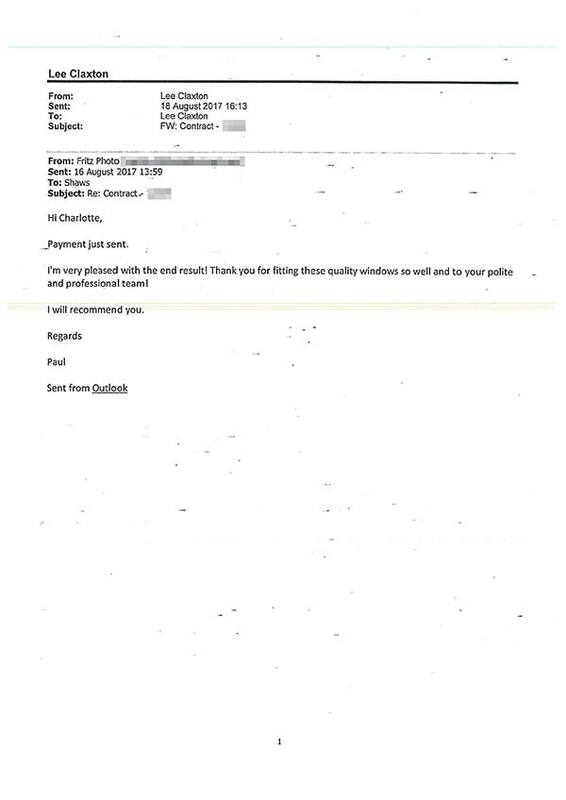 I would certainly recommend your company again. The doors and windows look amazing, we are really pleased with them. 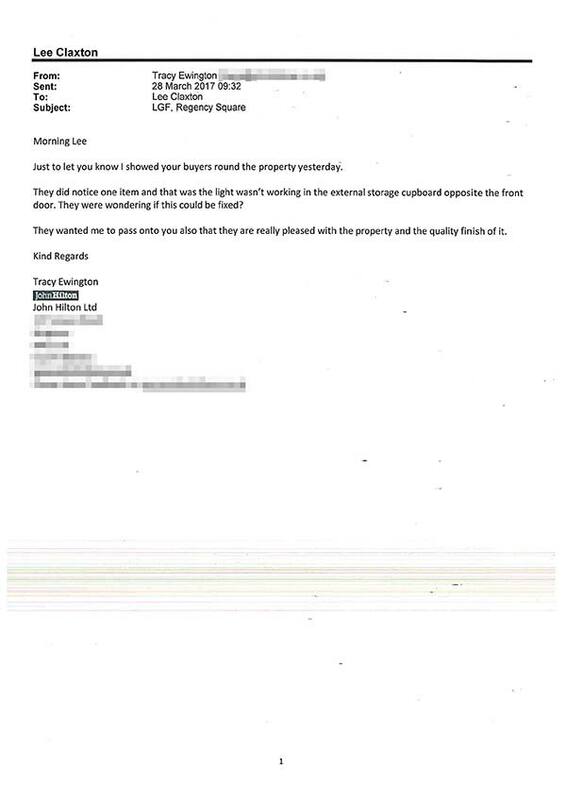 We are really pleased with the property and the quality / finish of it. 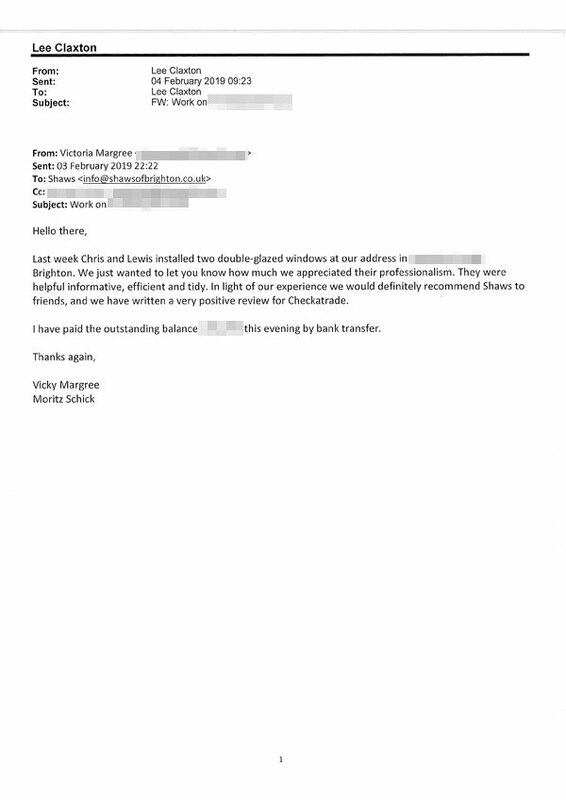 I would like to say how impressed we were with the high quality of work and professionalism shown by the team. 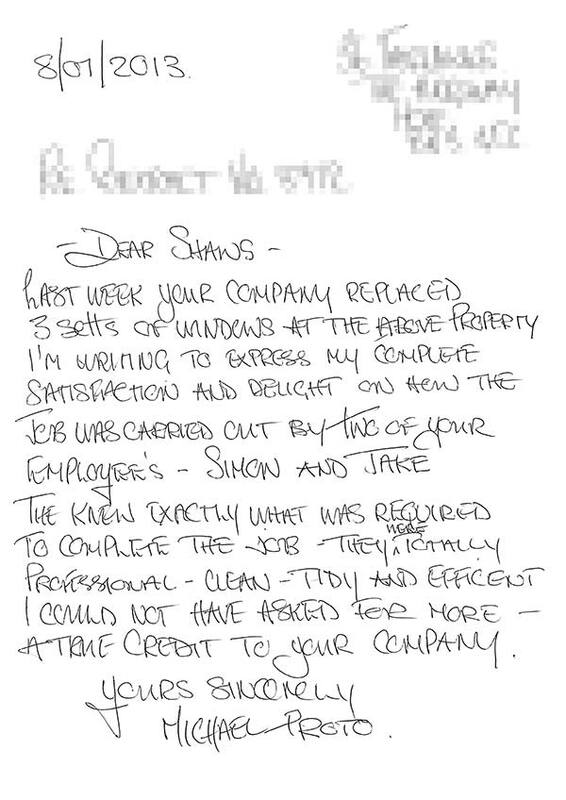 In particular, Robin – who led on the job – is an outstanding workman, helpful, professional and polite. 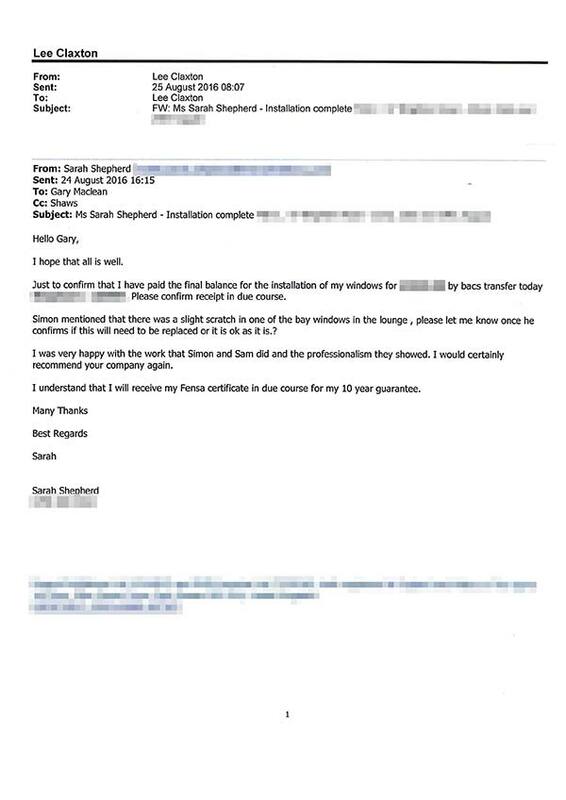 He took the trouble to ensure that the window surrounds were fully insulated, and overall we are delighted with the result. Thank you ever so much for doing such a wonderful job with our bedroom window. 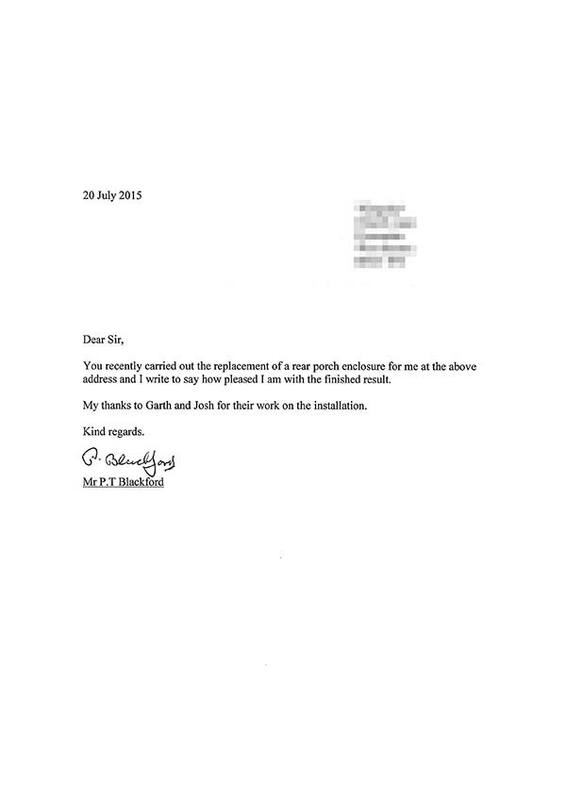 I shall be in touch with you again regarding more work in the future. 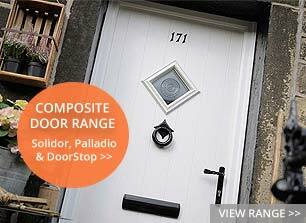 The door looks great – Bob has done a brilliant job. Very pleased with how it all went. Mick was brilliant. 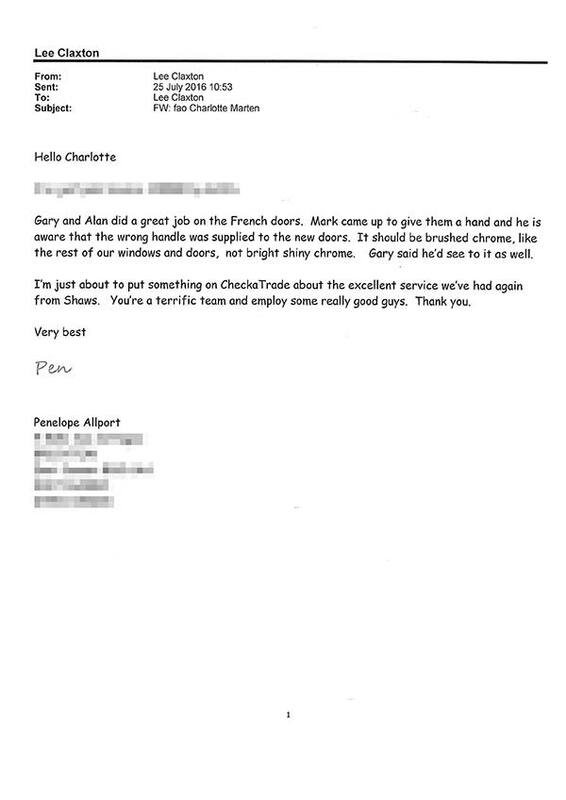 Thank you for a great job done on our Windows and French Doors. They all look great. 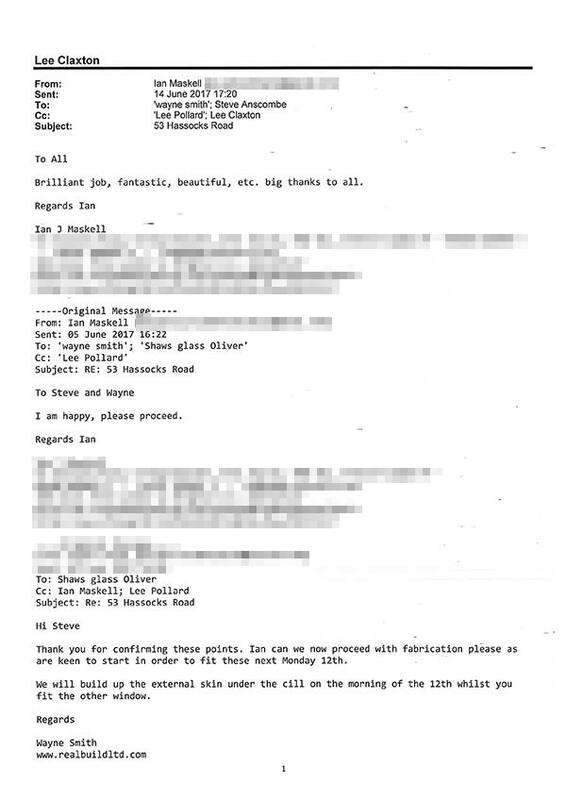 We will definitely be in touch again in the new year. 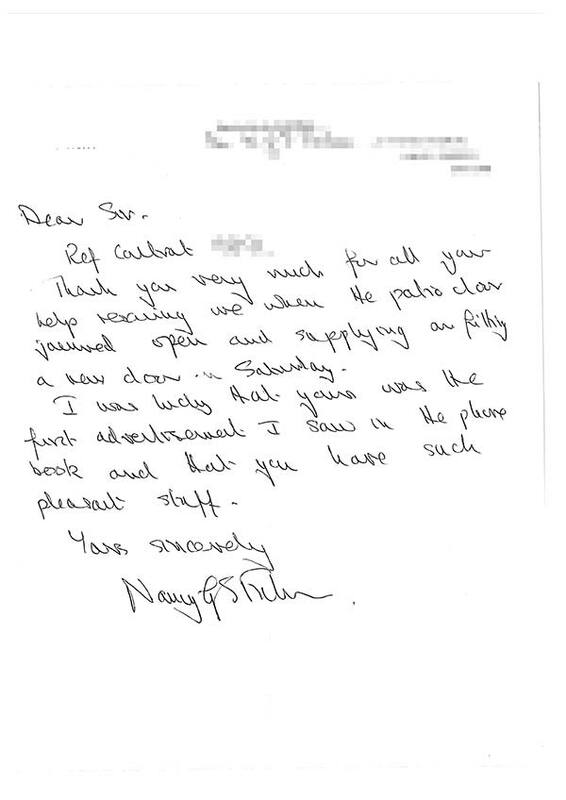 Please could you pass on our gratitude and delight for a fantastic job well done. 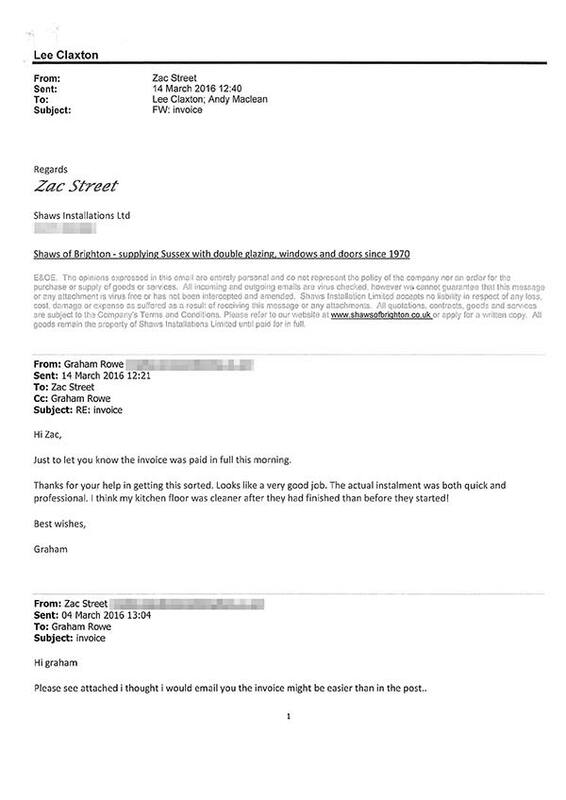 Jake, Elton and Gareth were fast, efficient, unfailingly polite and considerate and exhibited a care and attention to detail that was exemplary. It was a pleasure to have them working on our house and the result is superb – already we can see and feel the difference. 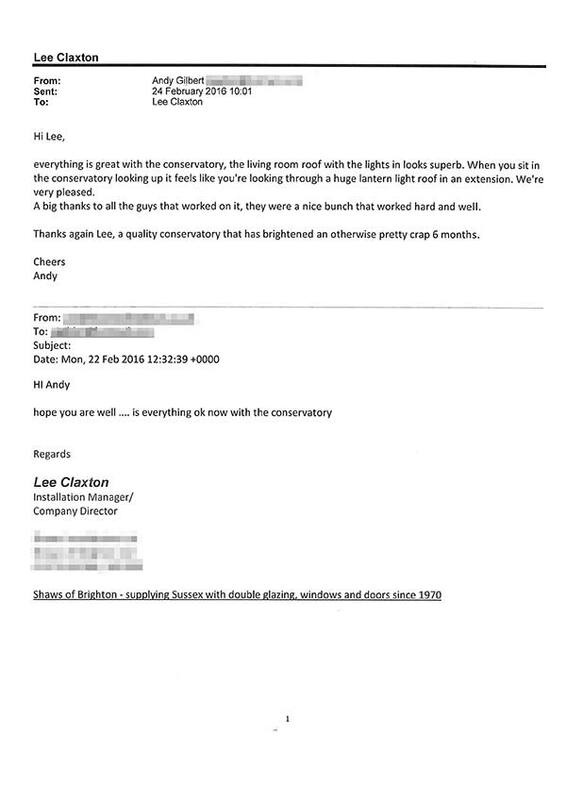 Overall our experience with Shaws has been positive throughout and we would not hesitate to recommend you to anyone for their glazing needs. Very pleased with the lounge and bedroom windows you recently installed for us. We would now like to see you with a view to replacing bathroom and possibly kitchen windows. 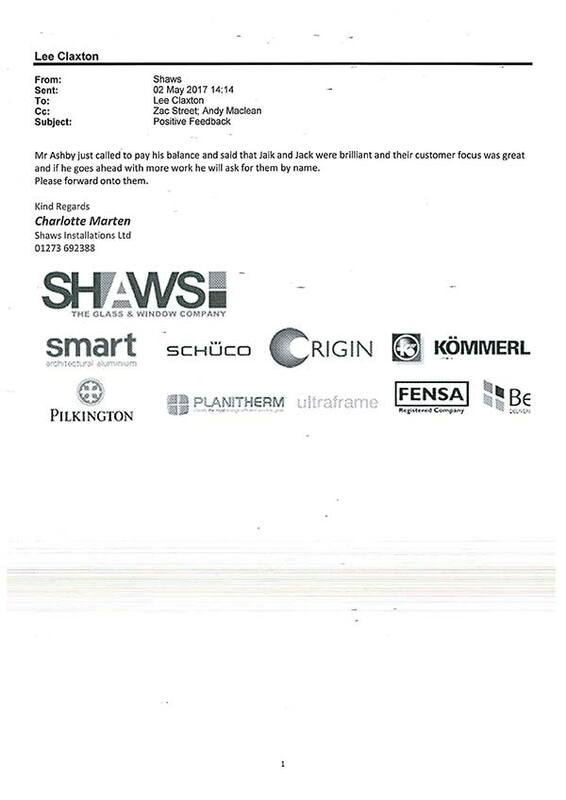 I had spoken to 4 other companies regarding a shopfront and Shaws were by far the nicest and most helpful. The windows are absolutely beautiful. They have really improved the look of the house! Thank you for coming round on Thursday. 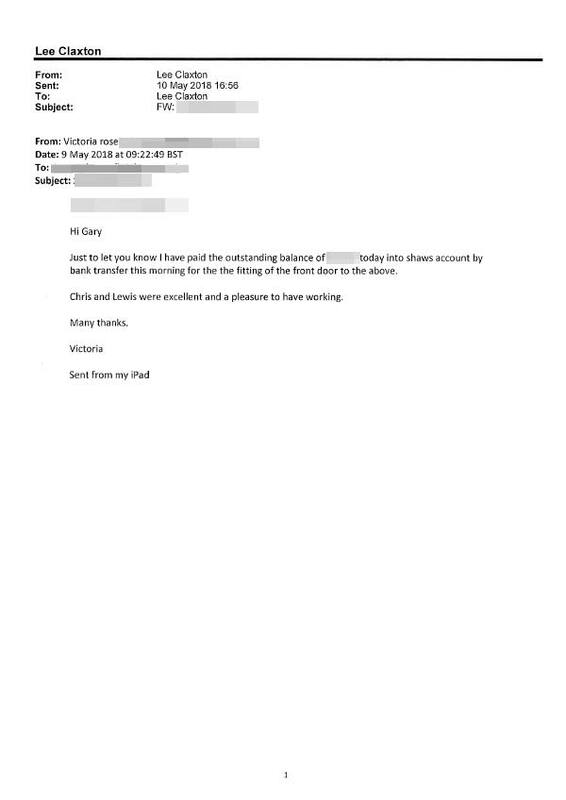 I was contacted beforehand and the 2 men who came arrived on time, were very efficient and nice to deal with. 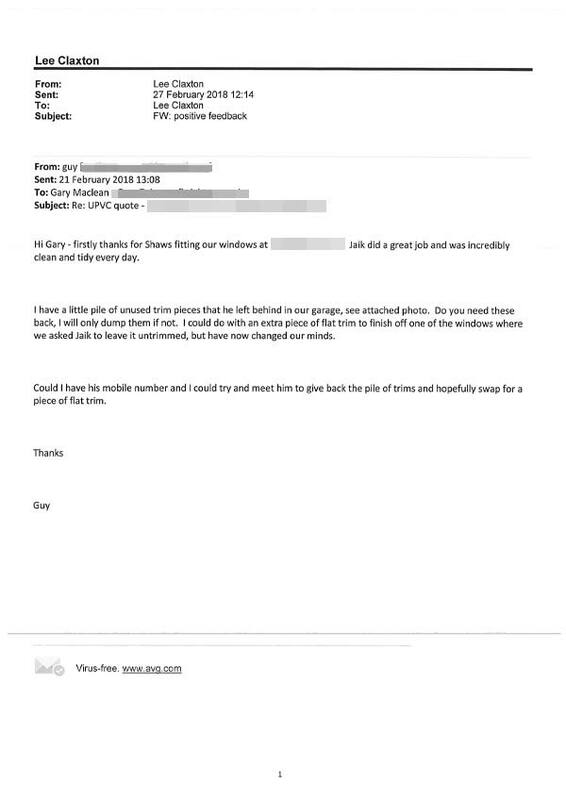 If only all companies were like Shaws! 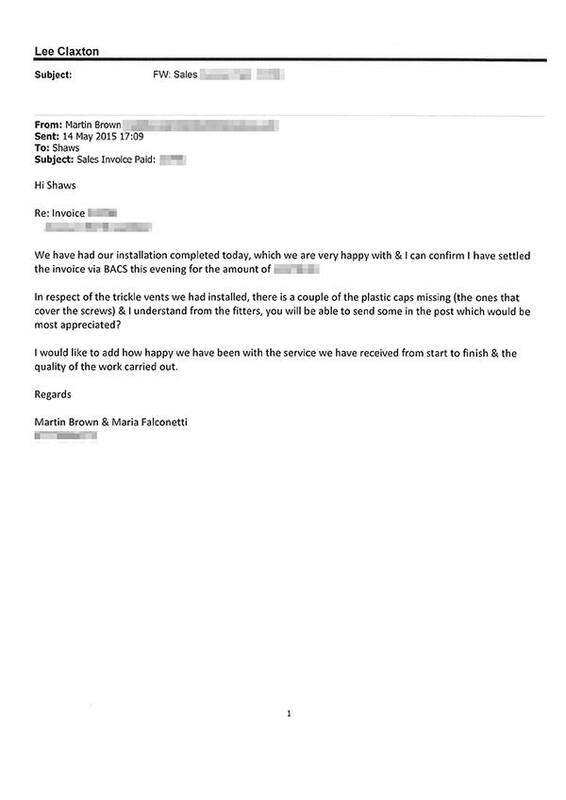 Martin was very lovely as was Jaik, couldn’t have asked for a nicer fitting team. Both workers were so nice and went above and beyond I help. 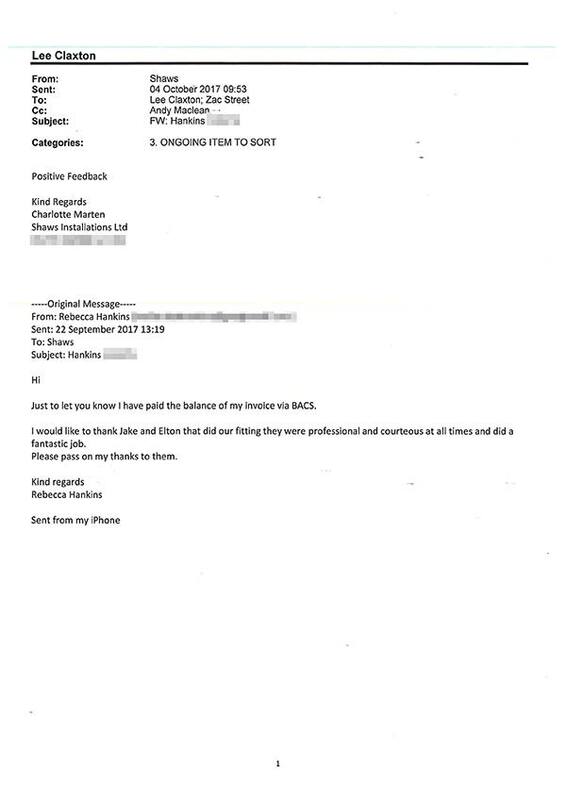 I shall definitely be using your company again. Our Conservatory Loggia room reconstruction is a great improvement on what was originally there. Andy and I would like to say a big thank you to all who were involved with this project. Your lads did a grand job which my mother is very pleased with. The windows were measured and fitted to perfection and no damage to the exterior masonry so no need for any exterior beading, which is much neater. 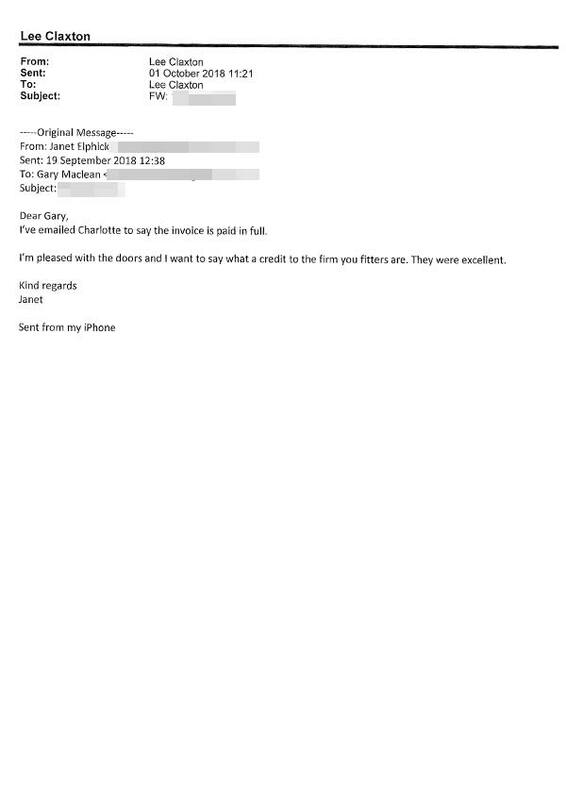 Gary and Allan did a great job on the French Doors. 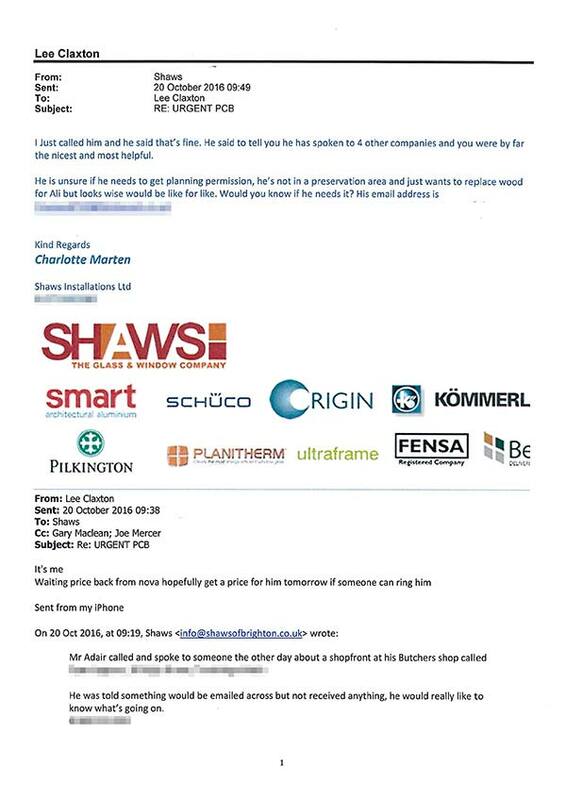 I’m just about to put something on CheckaTrade about the excellent service we’ve had again from Shaws. 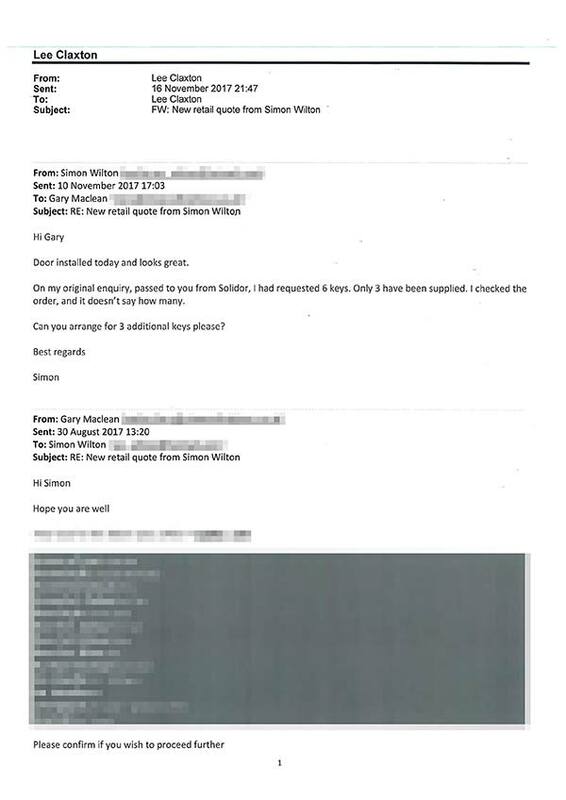 You’re a terrific team and employ some really good guys. Thank you. Bob did a great job with the door on Saturday, it’s looking really good! 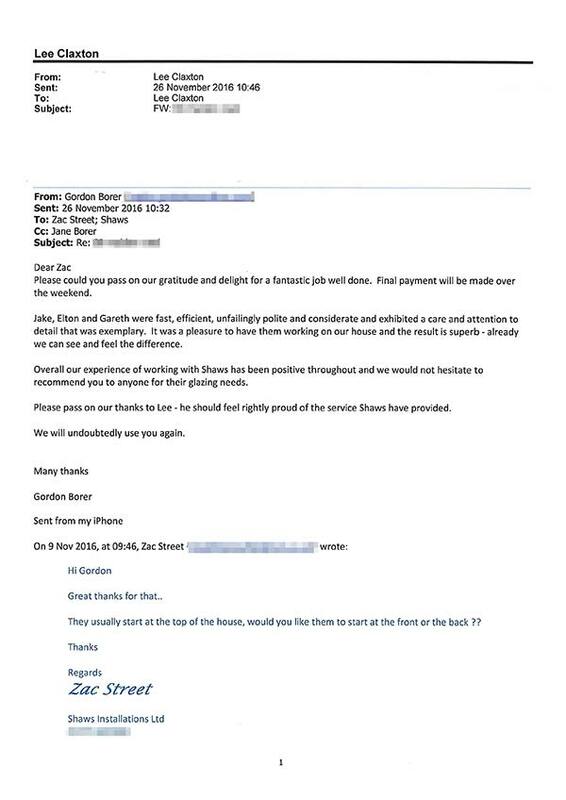 I am thoroughly delighted with the installation, professionalism and cleaning up of the property after the installation Jake & Alton did. 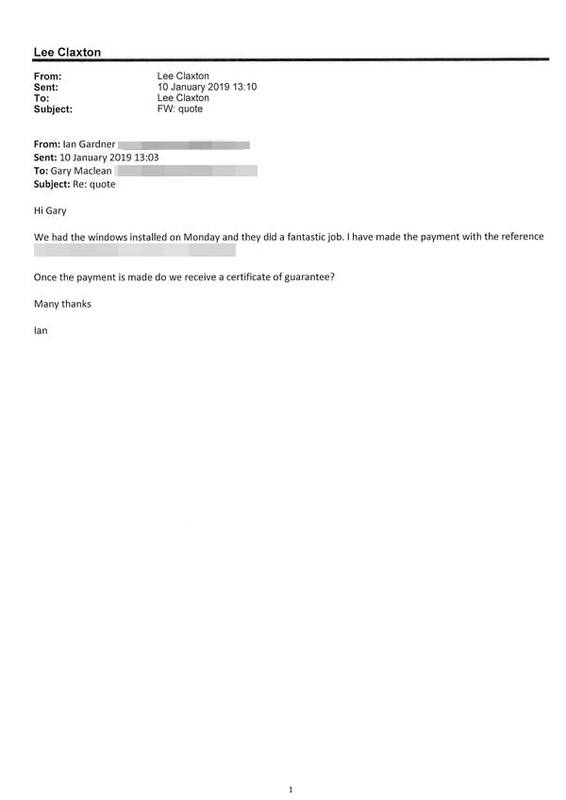 I just had to write to you regarding your two installers, Gareth and Roy. 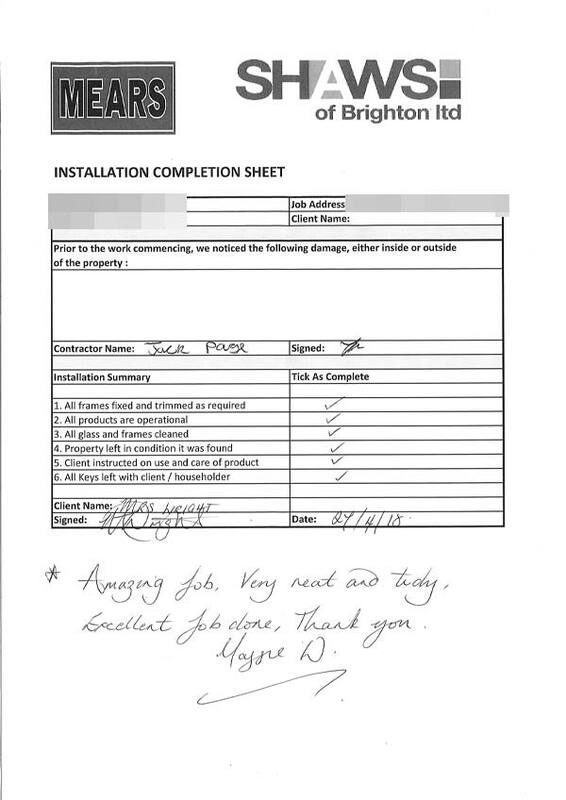 They were both professional and courteous and so meticulous in ensuring that the finished installation was as perfect as it could be. 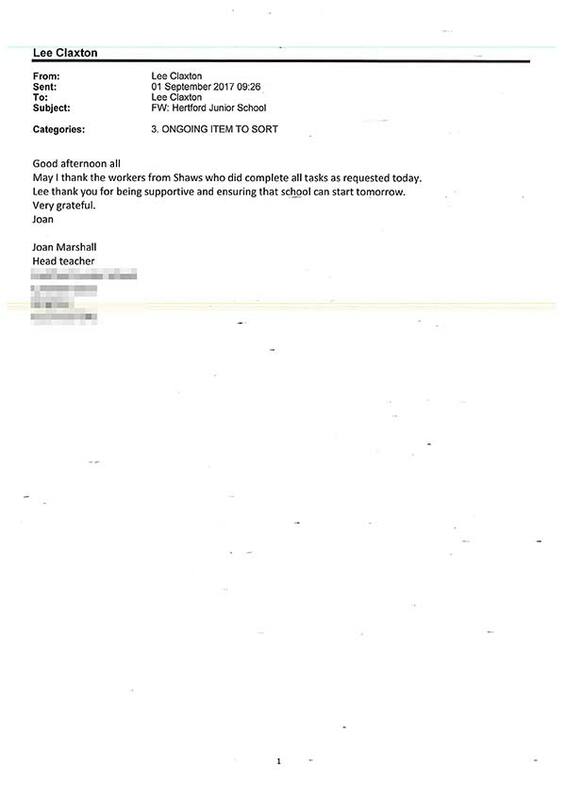 So, I can thank you for a great job. Thanks for the prompt fitting of the windows. 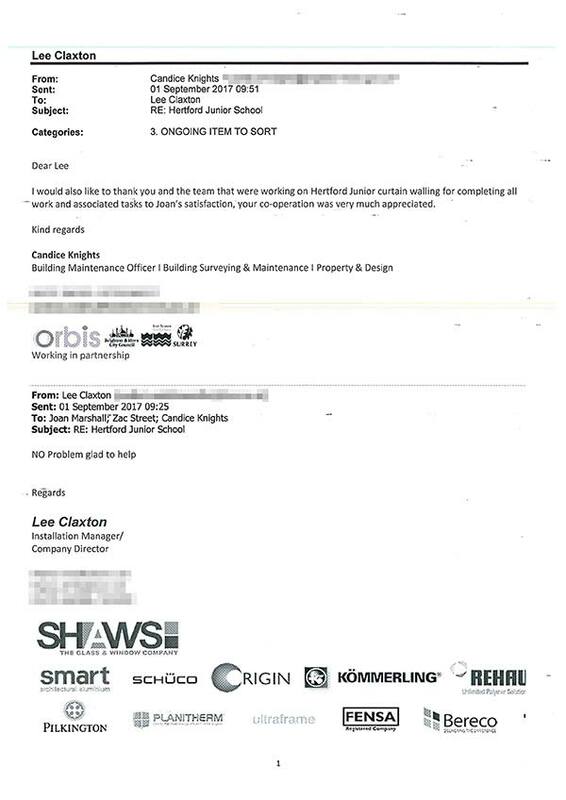 May I also comment on the professionalism of your fitting crew and request that these guys return to finish the job when required. 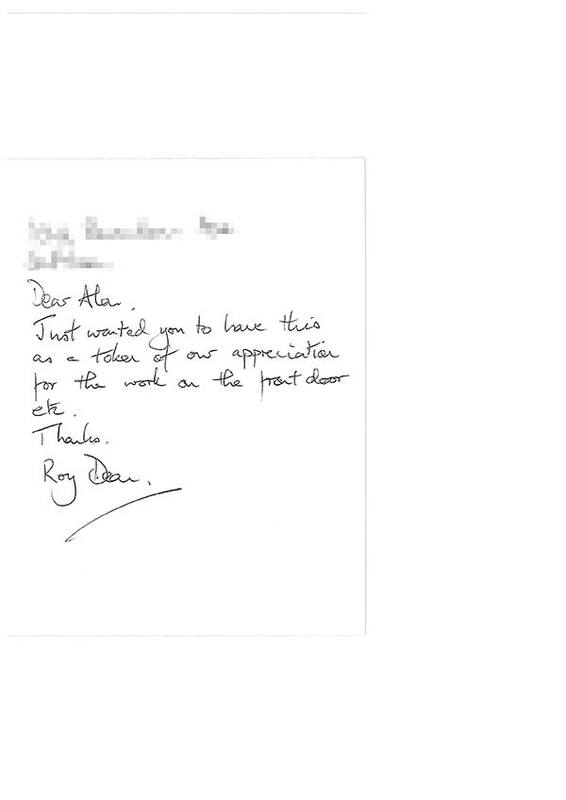 Thank you so much for our doors. Fan-dabby-dozy springs to mind – they look fantastic. We are delighted with the work. I had a rear bay window (3 pieces) fitted last wekk, and am very satisfied with the work that was done. 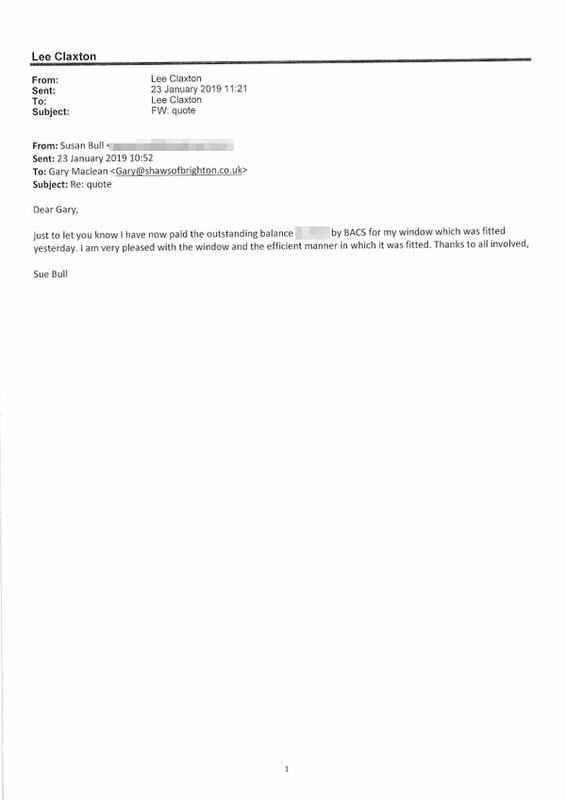 Your fitters have done an excellent job and I have left a review on Check a trade. Many thanks for the installation of our new front and back doors and porch windows. 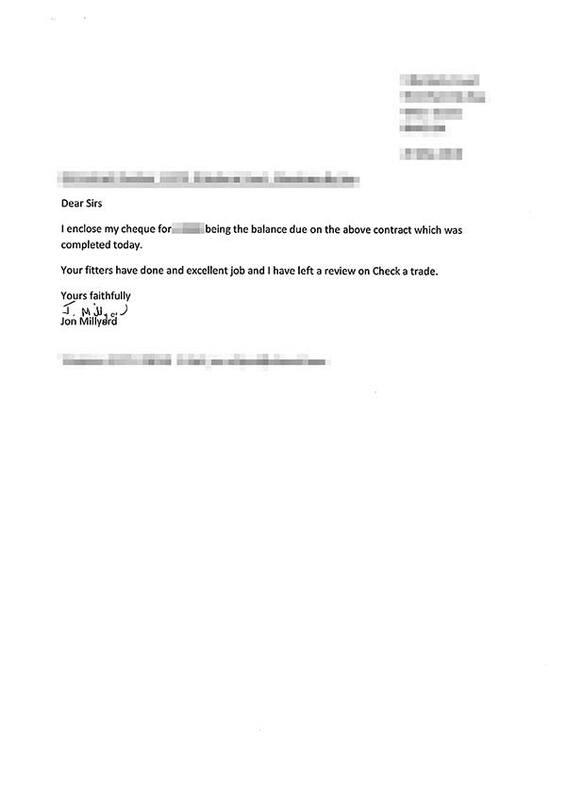 We are very grateful to you for a quicker response time than anticipated and for an excellent job carried out. The doors look great and improve our home tremendously. Thank you. I have just got home and the windows are AMAZING! I cannot believe the difference to how they make the house look. There’s still one to be done but I love them so much, thank you! Thanks for your help in getting this sorted. Looks like a very good job. 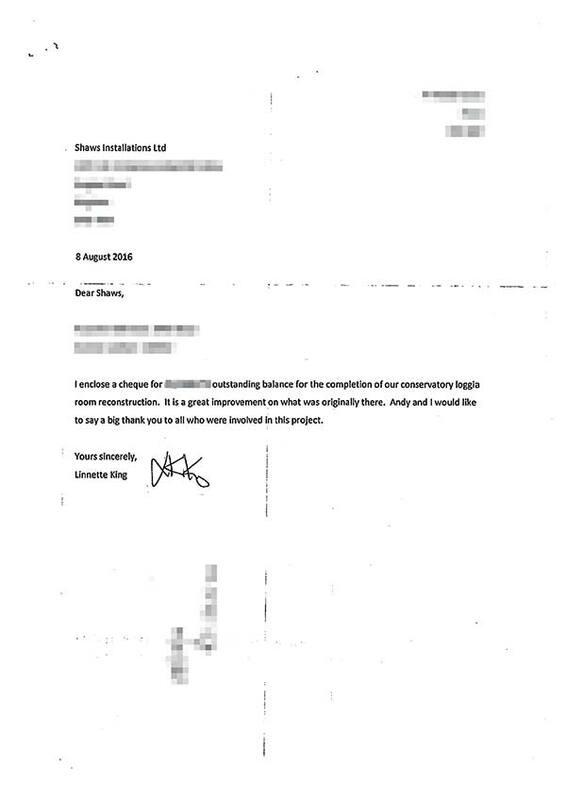 The actual instalment was both quick and professional. I think my kitchen floor was cleaner after they had finished than before they started! Everything is great with the conservatory, the living room roof with the lights in looks superb. When you sit in the conservatory looking up it feels like you are looking through a huge lantern light roof in an extension – we’re very pleased. A big thanks to all the guys that worked on it, they were a nice bunch that worked hard and well. I would like to say that I was very happy about the way the windows were installed and finished and am delighted with the result. 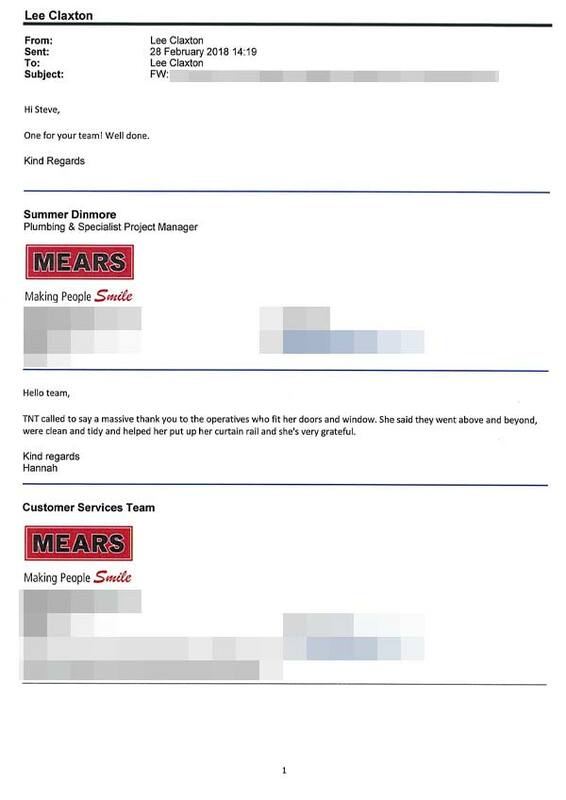 Please thank your staff again for their hard work and their efficiency not to mention their courteous and friendly attitude. 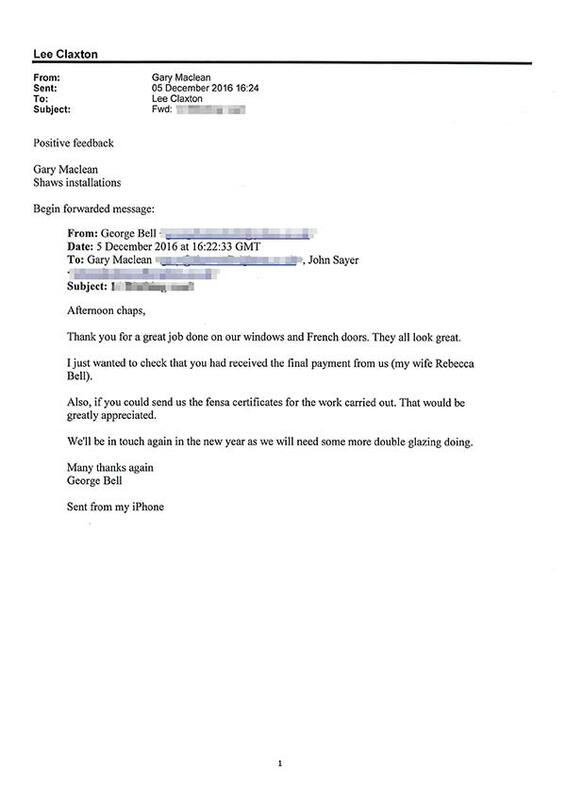 I take this opportunity to thank Chris and the rest of the team for their excellent work. I am absolutely delighted with my new conservatory, it’s just the place to drink my mid day G and T. Your workers were all so charming, I was particularly impressed by Steve, who laid the foundations; I have never seen anyone work so hard or fast. Yours must surely be one of Brighton’s best businesses. One of these days you will be able to retire in style. I just wanted to drop you a line to say thank you for your help, patience and support over the months of waiting on planning approval hassles etc. 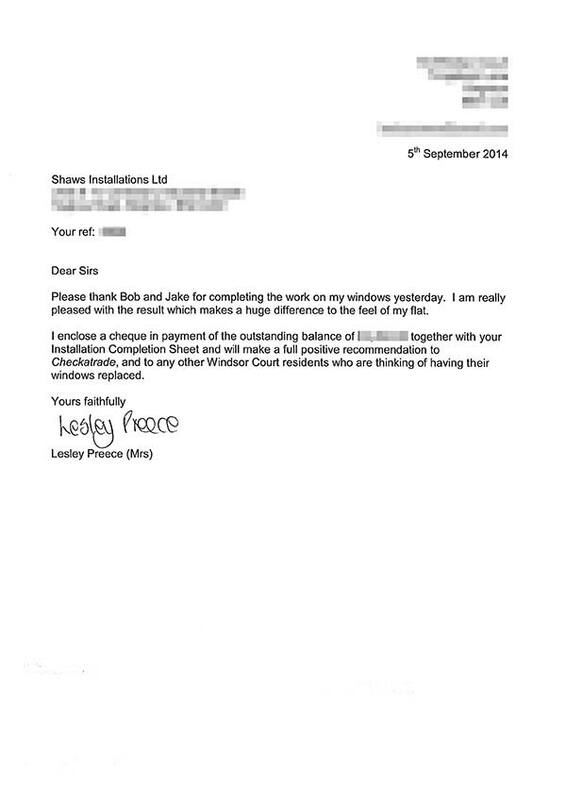 culminating in a first class result on installation of the windows. 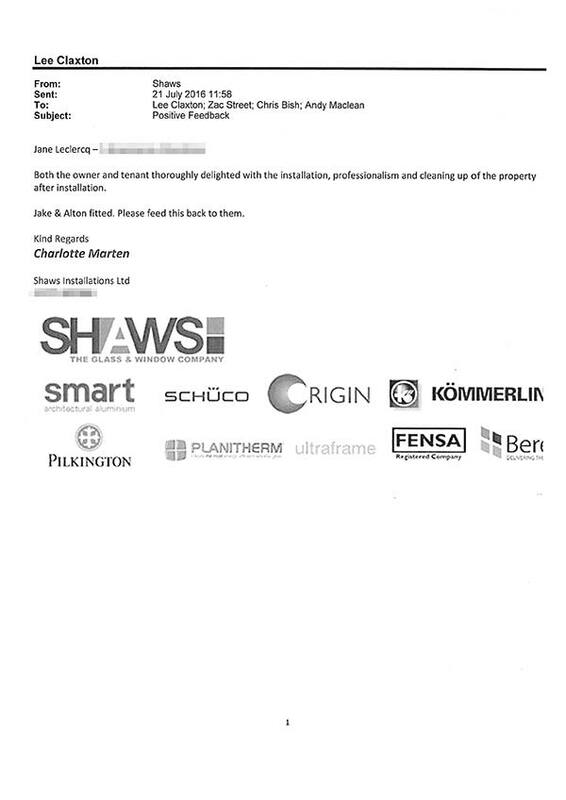 Many thanks to all the Shaws team who I will highly recommend wherever possible. 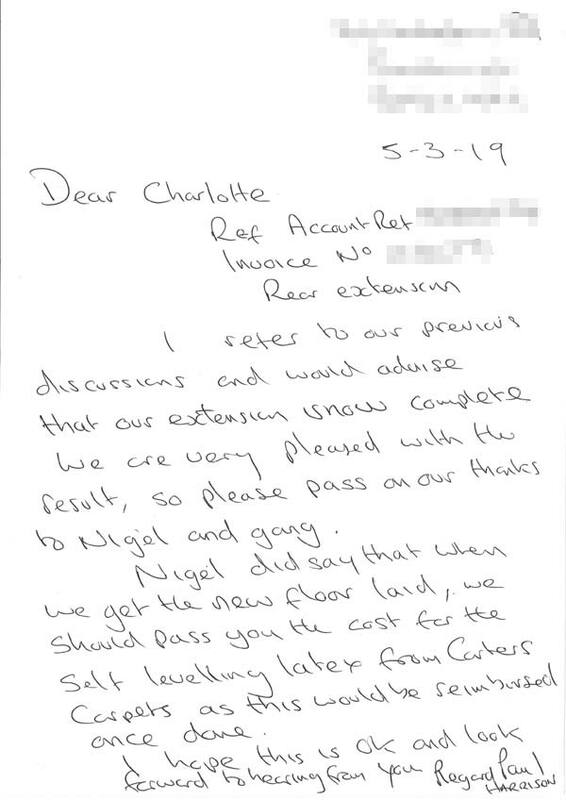 You recently carried out the replacement of a rear porch enclosure for me and I am writing to say how pleased I am with the finished result. Many thanks to Gareth and Josh for their work on the installation. Many thanks for the installation. Good job, great guys. Many thanks to your guys who did our house this week, as far as I can see they did a very good job! 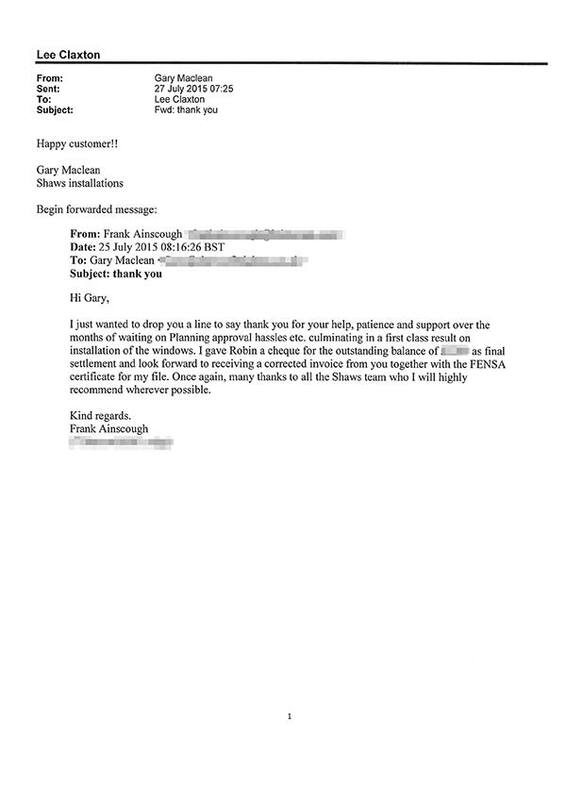 I was very impressed, they done exactly what they said and there is no time of movement slippage – please tell those guys “well done” and thanks! We have had our installation completed today, which we are very happy with. 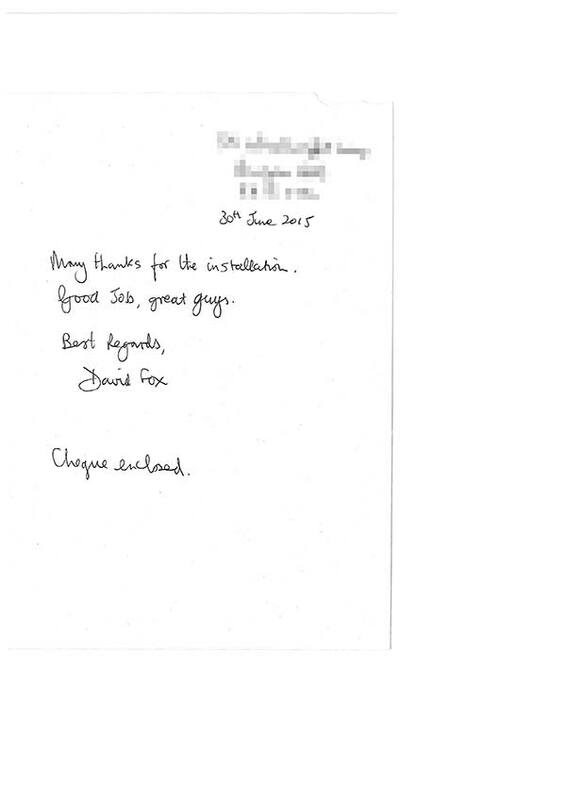 We have been so happy with the service we have recieved from start to finish & the quality of the work carried out. 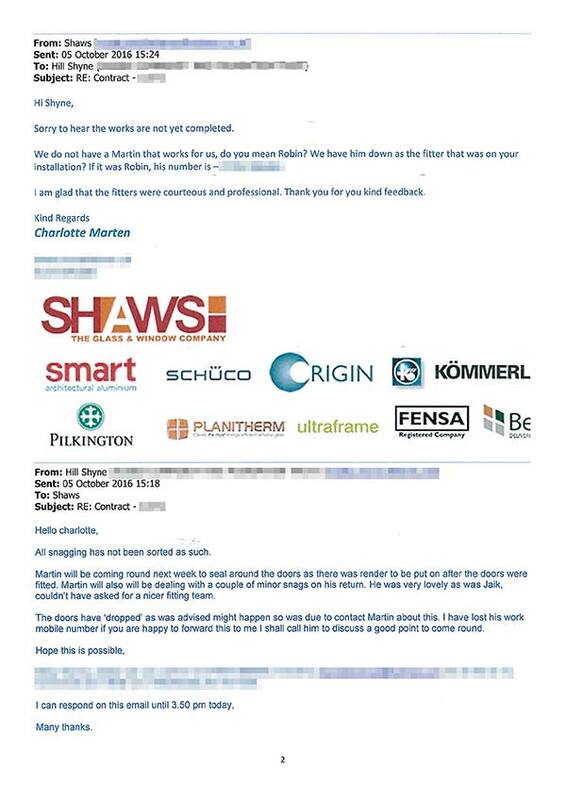 The fitters had done a fantastic job and I was very impressed by both the quality of the product and everybody I had dealt with at Shaws. 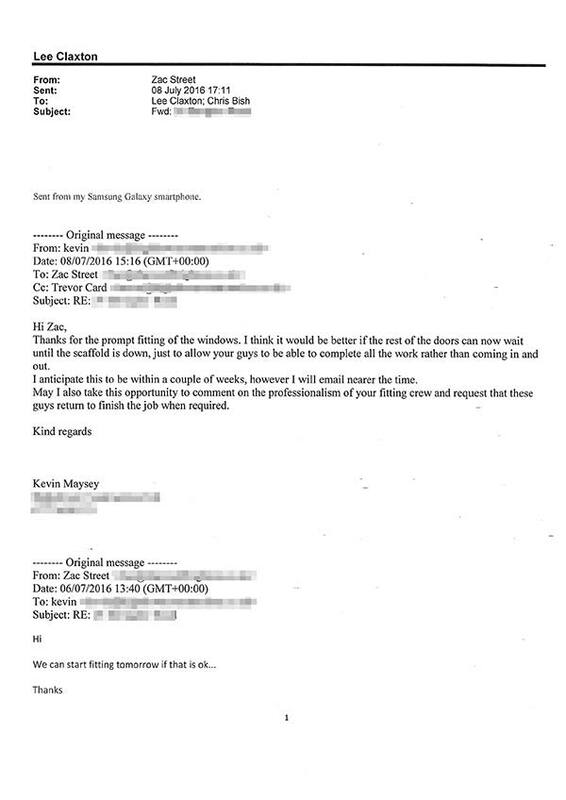 Please thank Bob and Jake for completing the work on my windows yesterday. I am really pleased with the result which makes a huge difference to the feel of my flat. 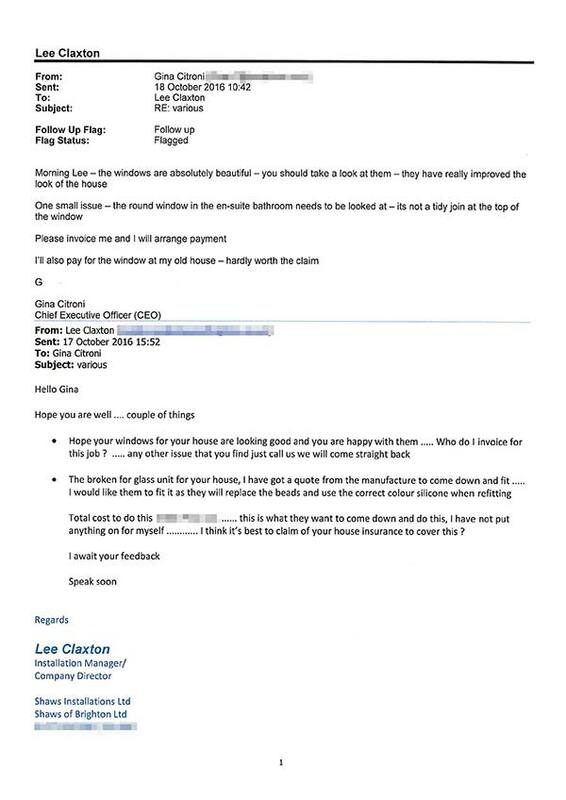 I will make a full positive recommendation to Checkatrade, and to any other Windsor Court residents who are thinking of having their windows replaced. 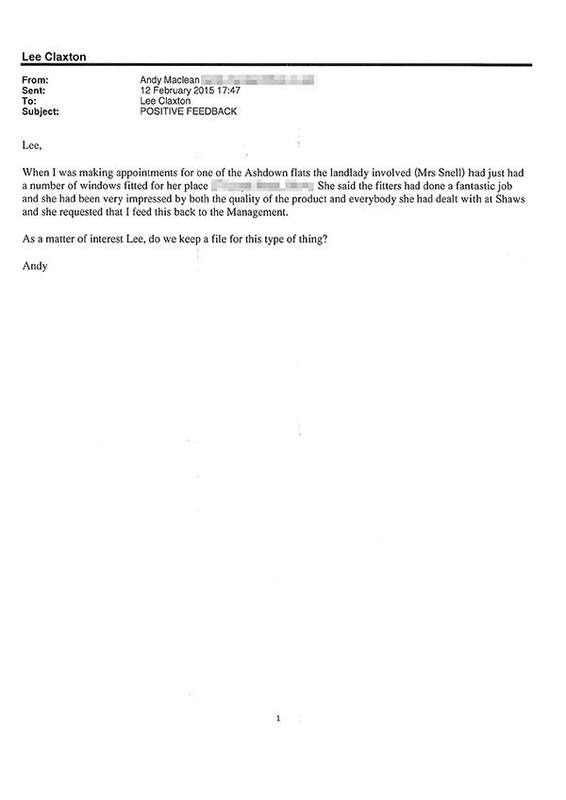 We were very pleased with the products. 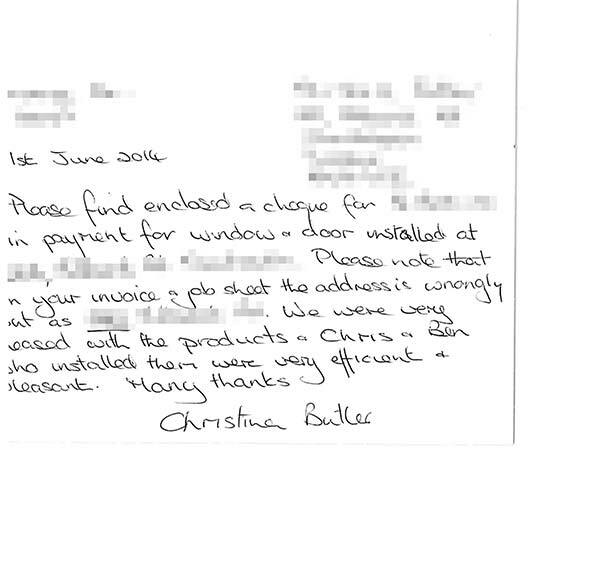 Chris and Ben who installed them were very efficient and pleasant. Many thanks. 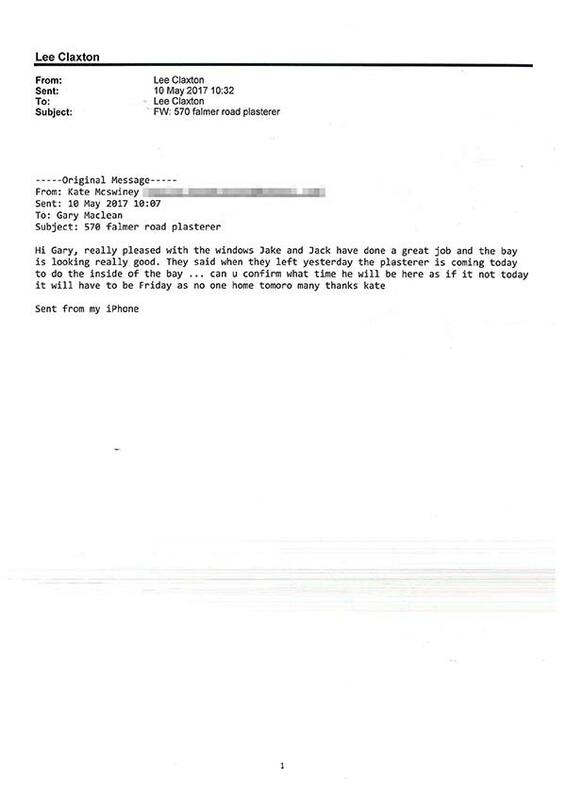 I am writing to express my complete satisfaction and delight on how the job was carried out by two of your employees – Simon and Jake. 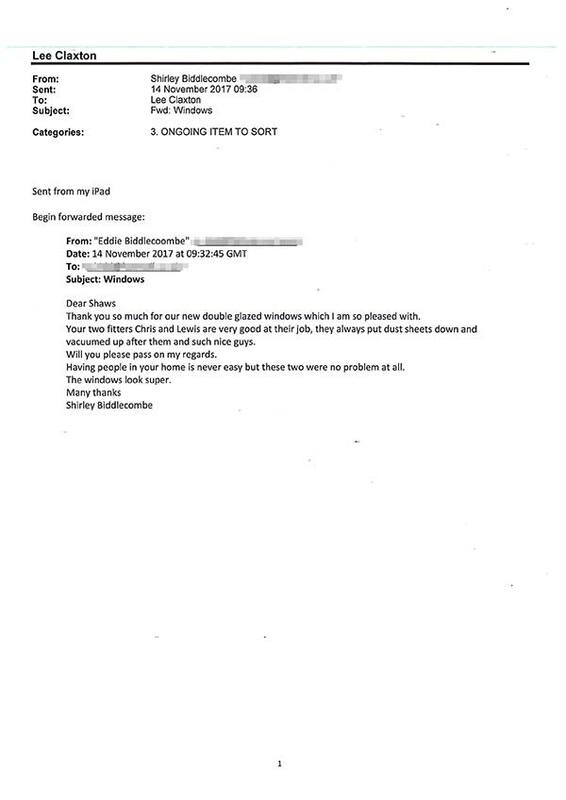 They knew exactly what was required to complete the job, they were totally professional, clean, tidy, and efficient. 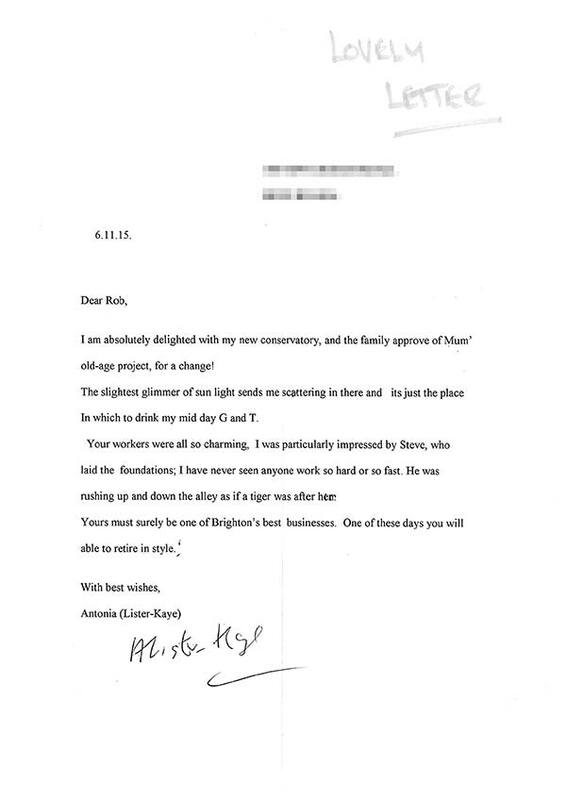 I could not have asked for more – a true credit to your company. From initial enquiries to completion of the job, your service has been faultless. The doors are fitted and we’re so pleased! The slim aluminium frame is perfect, if anything it’s slimmer than the old one so I’m really pleased you/we made the effort to look into and go for that option. And of course we’ve already noticed the improvement in keeping the room warm, it’s made a big difference. 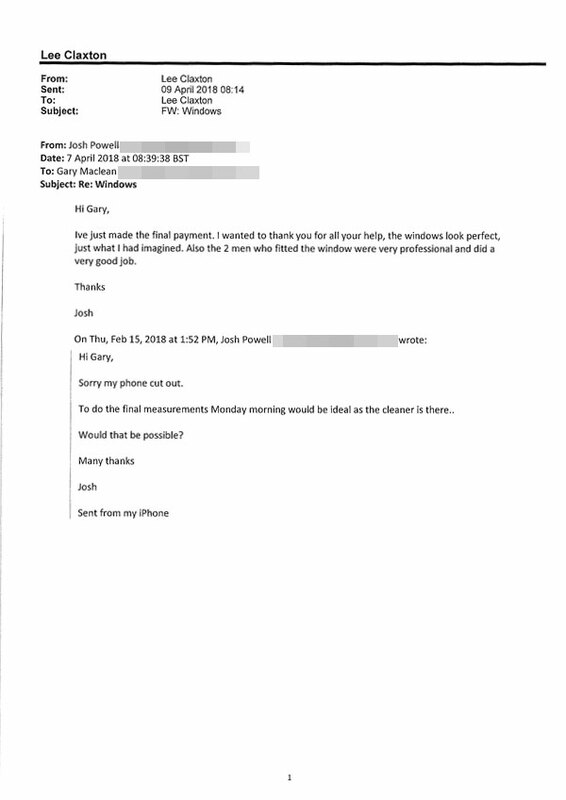 I am very happy with every aspect of your service. 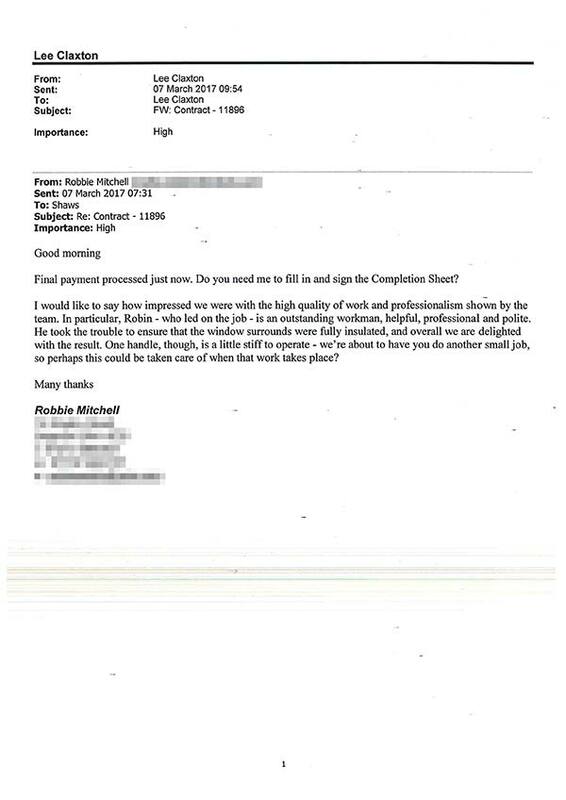 Your company made the whole process painless. Everybody was very helpful and pleasant and I’m very pleased with the end result. Joe, who came to give me an initial quote and then returned to take final measurements, was very useful. 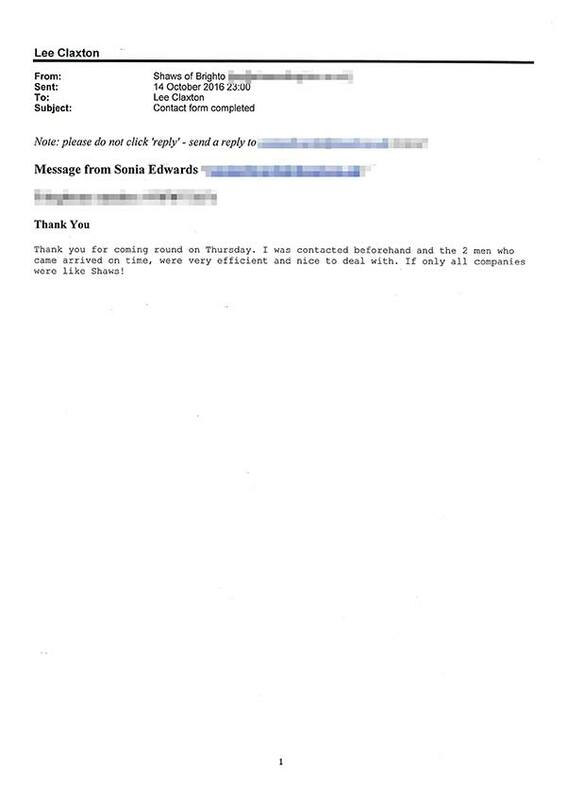 He took the time to explain and made me feel very confident about the company. One cannot ask for better service. 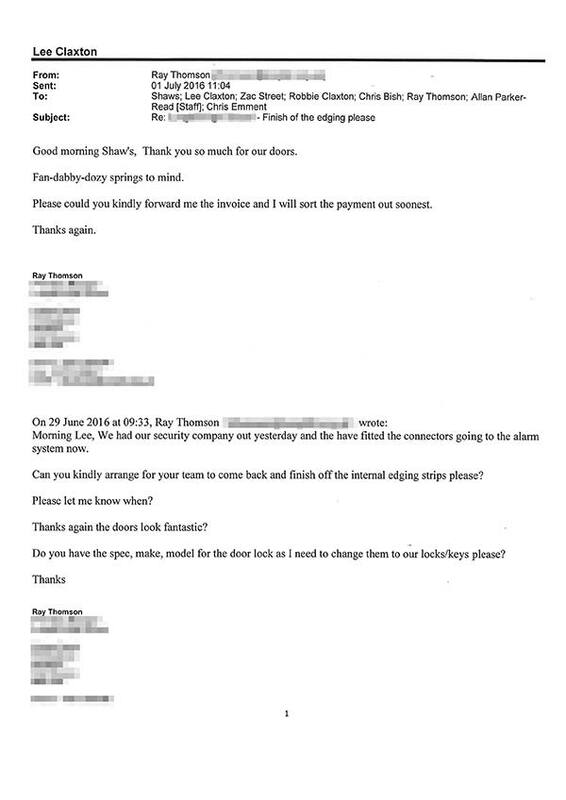 Your fitters were friendly and polite … and noticeably quiet while working. I was surprised at their working efficiency. 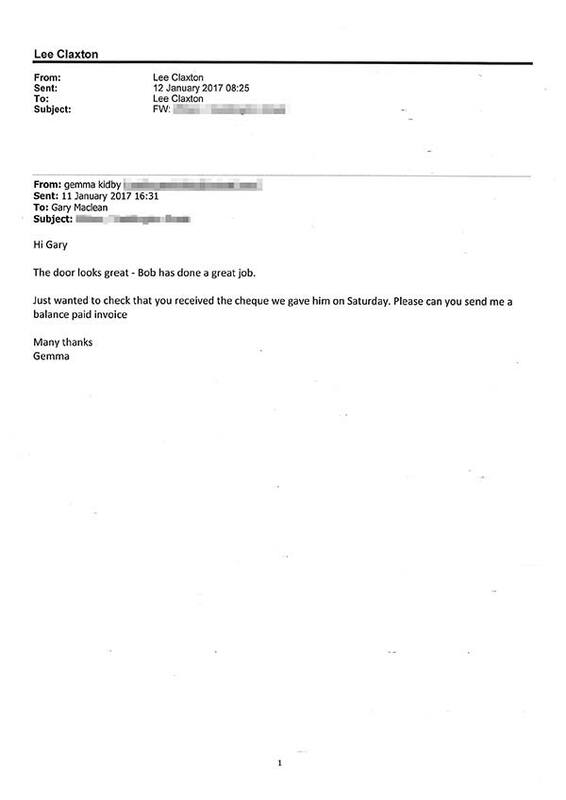 Your fitter was customer-friendly and took great care in the fitting the door for us. We wanted French windows but were a bit confused as to which type. 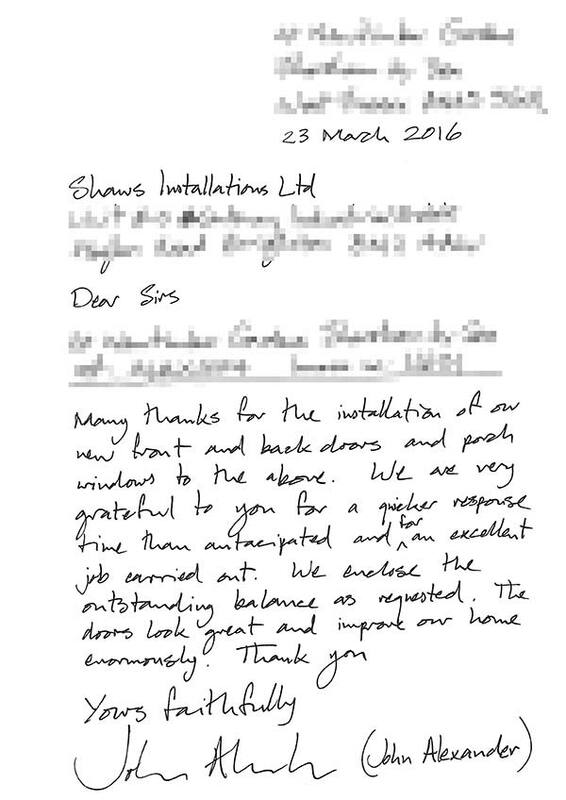 Shaws were recommended to us by our architect, and from the first moment we met them they were fantastic – making the whole process easy and supplying us with a beautifully finished end product. I could not recommend them more highly. We weren’t sure what type of conservatory we wanted or either whether we could afford one. 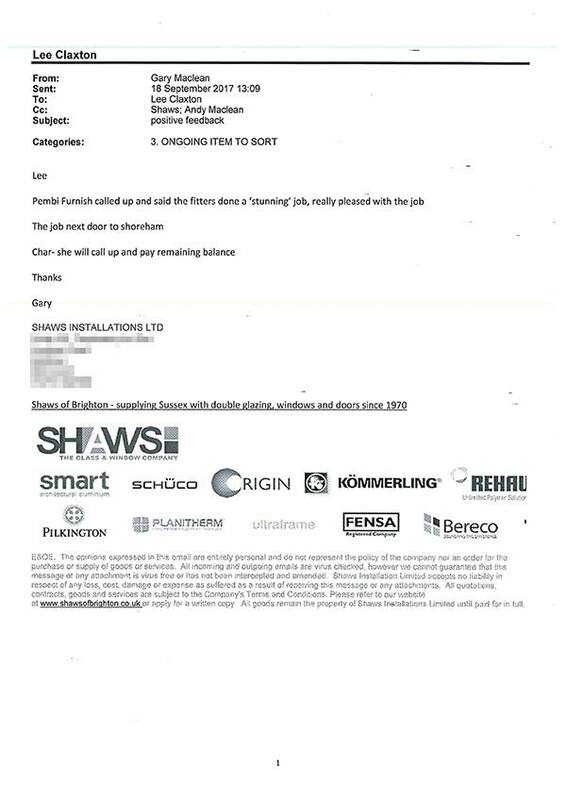 Shaws were recommended to us by a friend and they did a wonderful job – supplying us with a really high quality end product, but also supported by fast and friendly service.